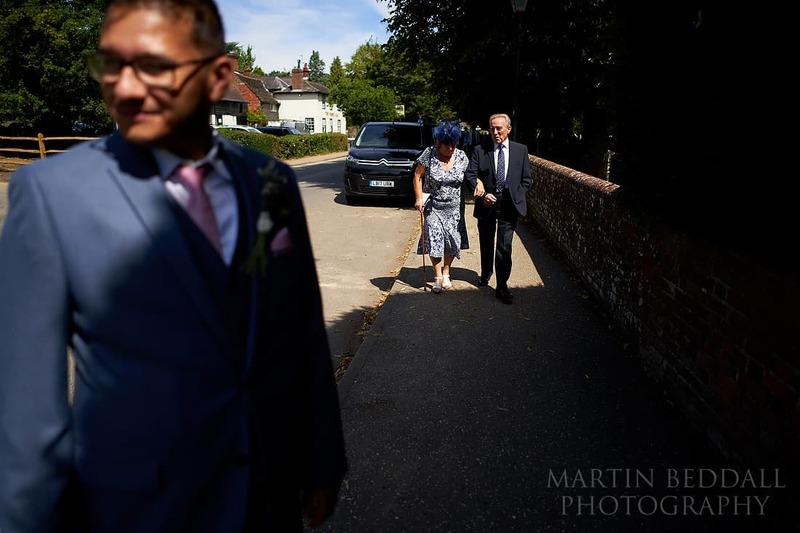 A rare local wedding for me. 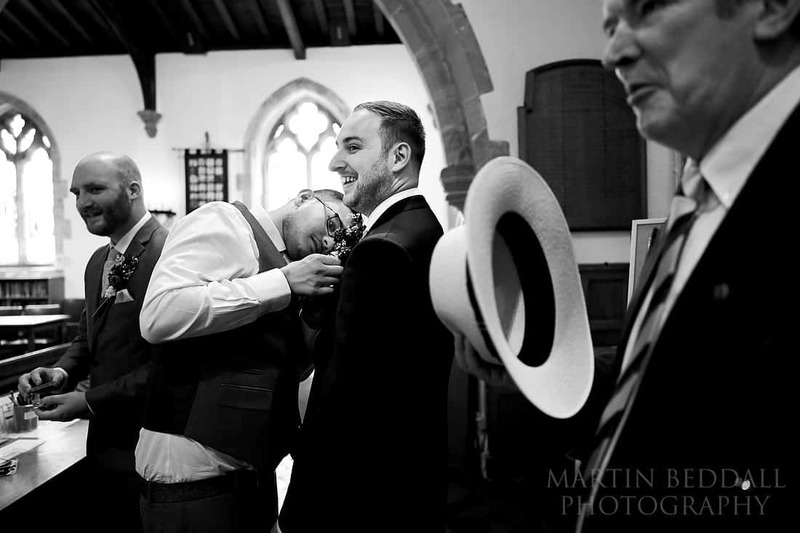 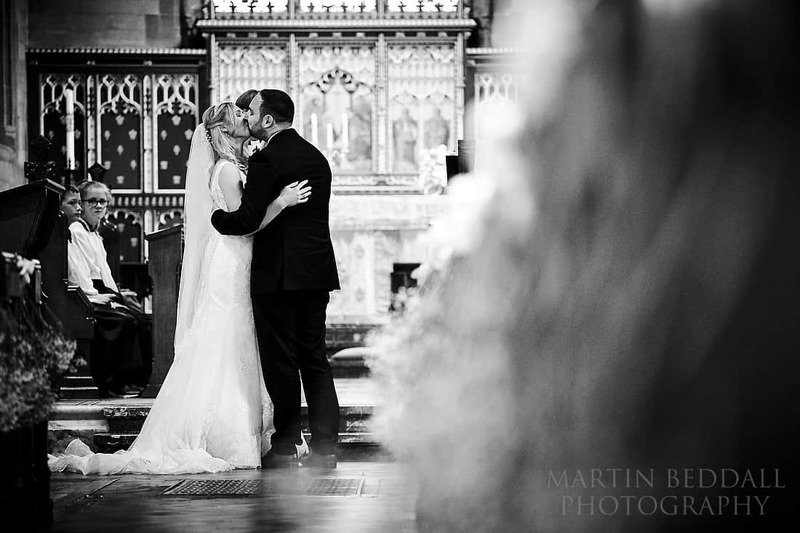 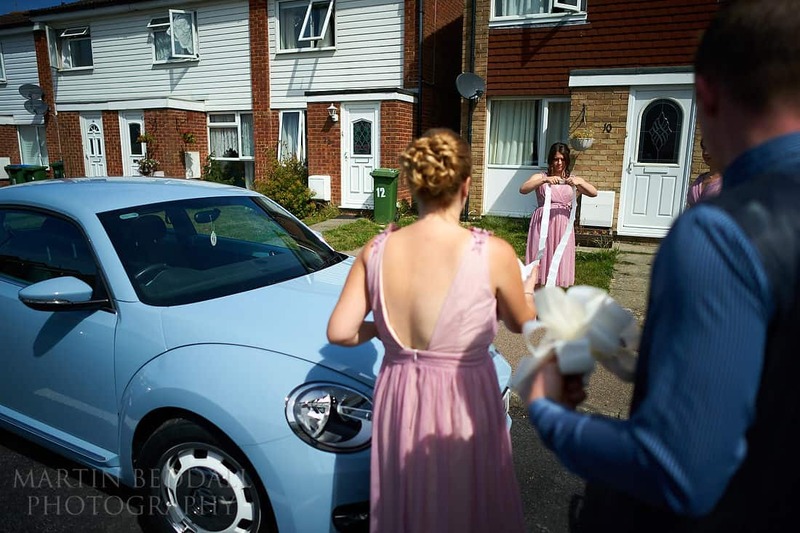 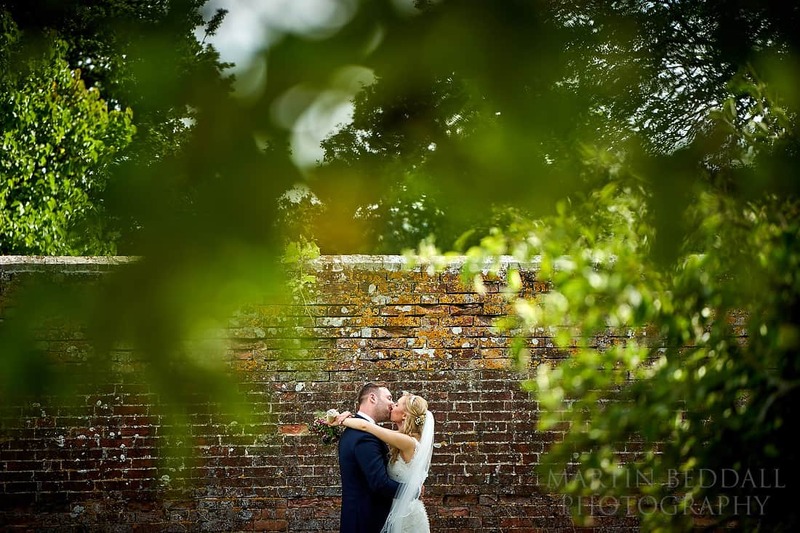 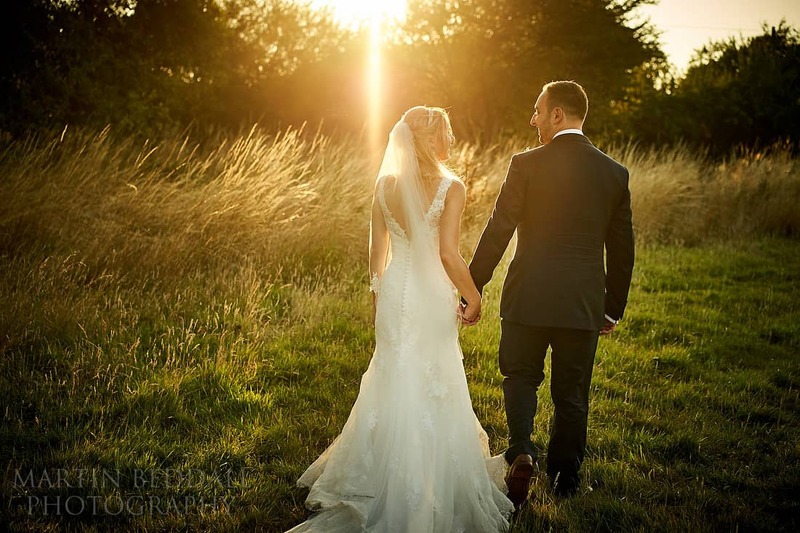 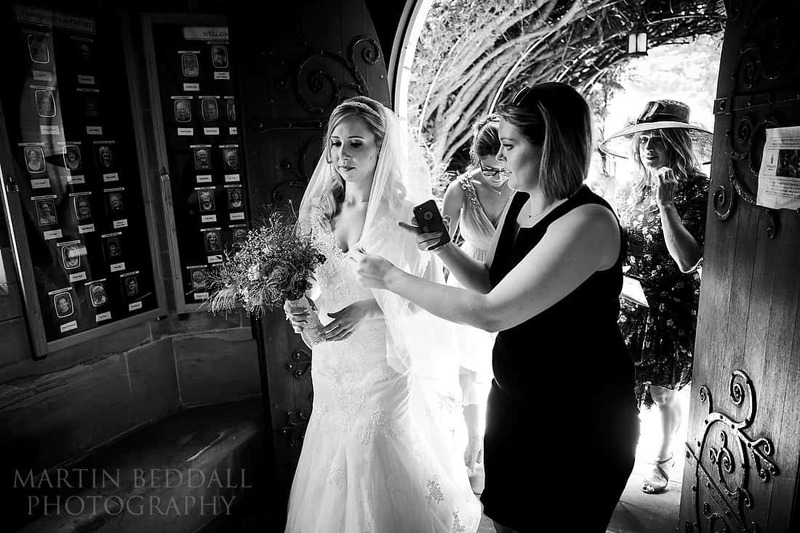 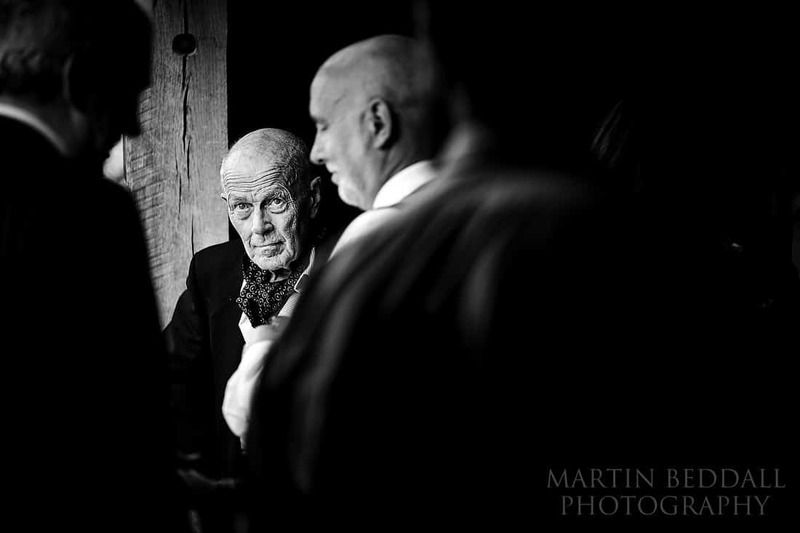 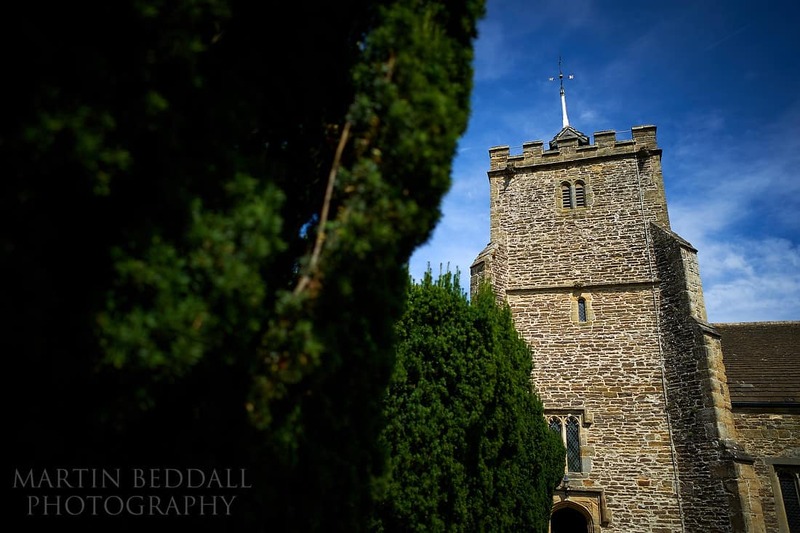 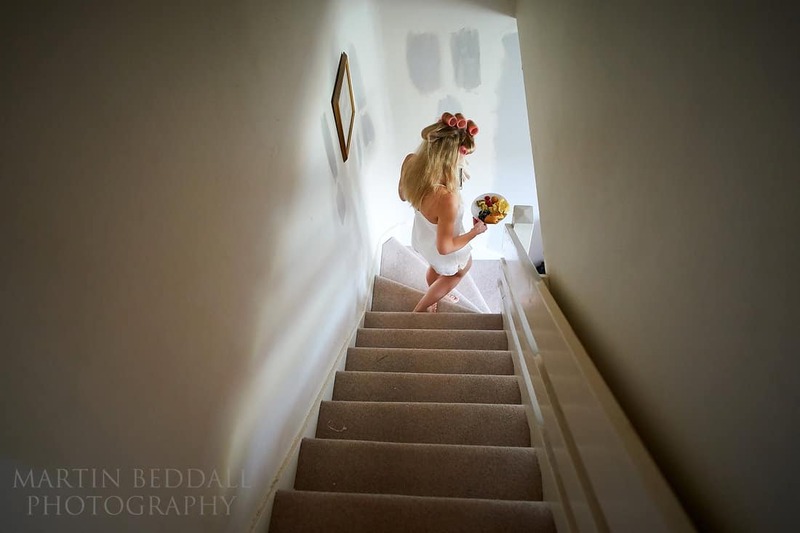 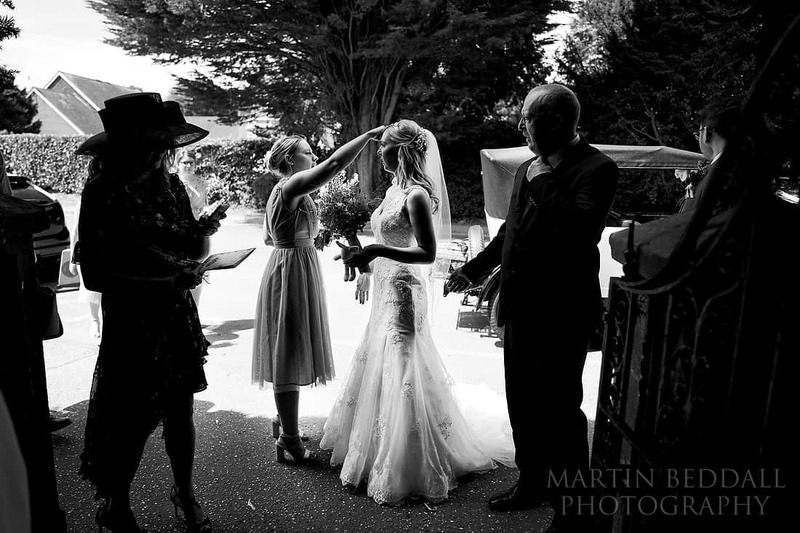 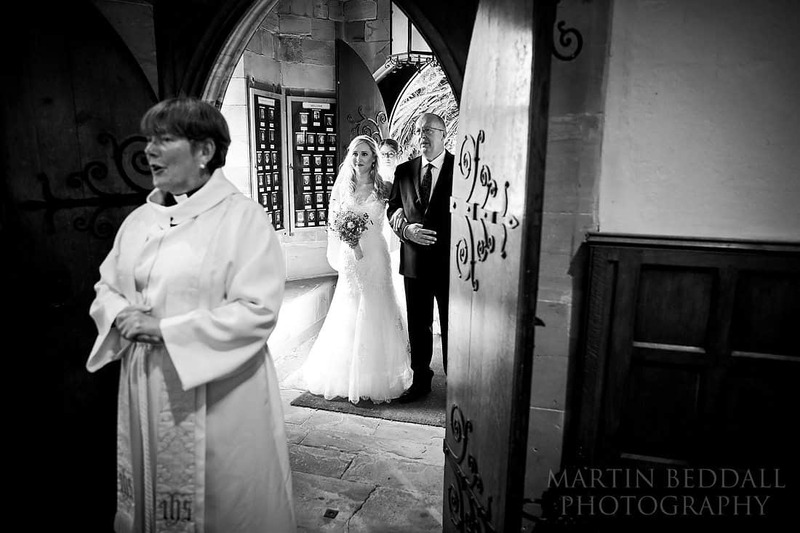 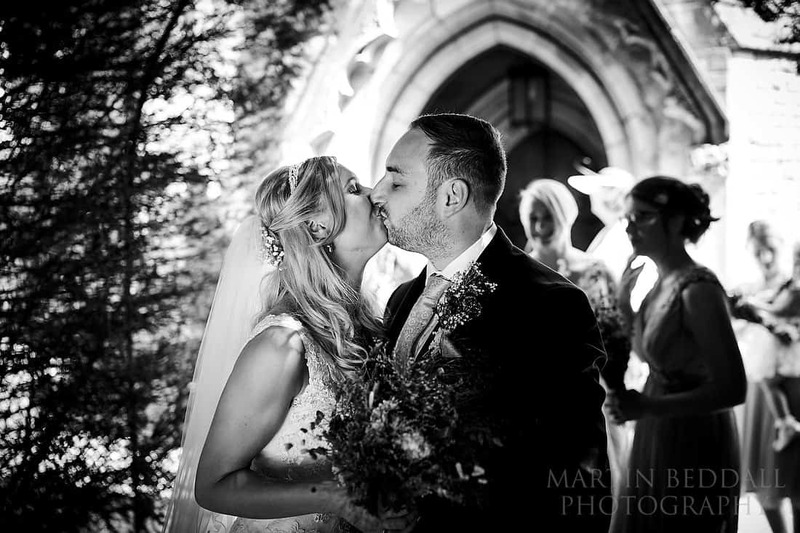 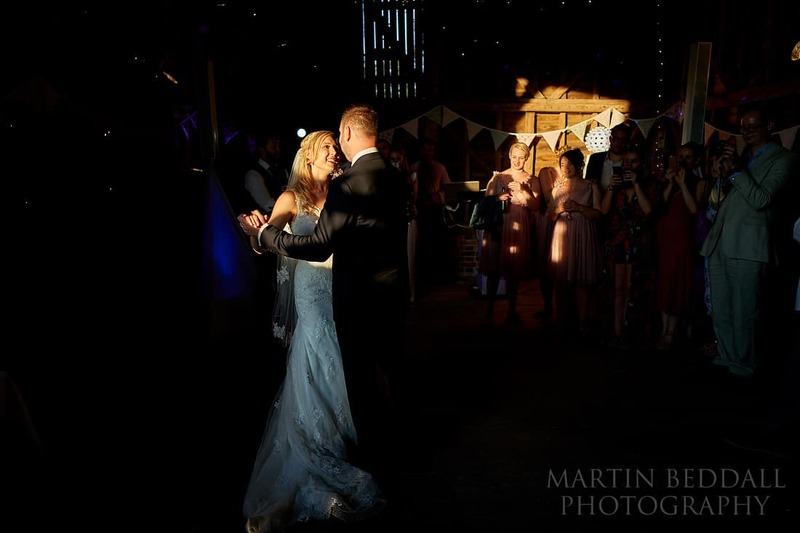 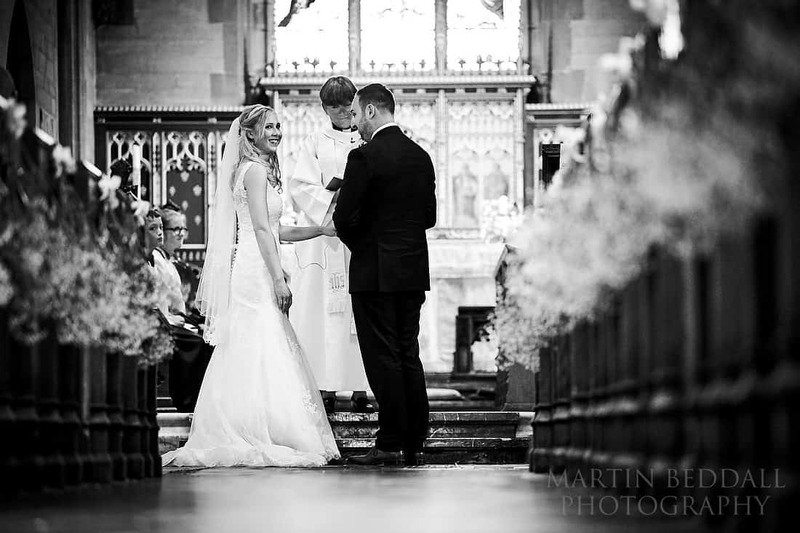 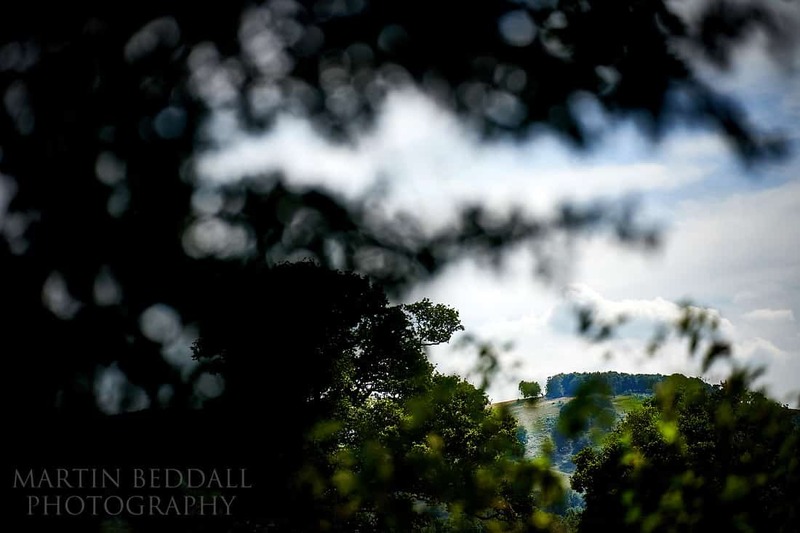 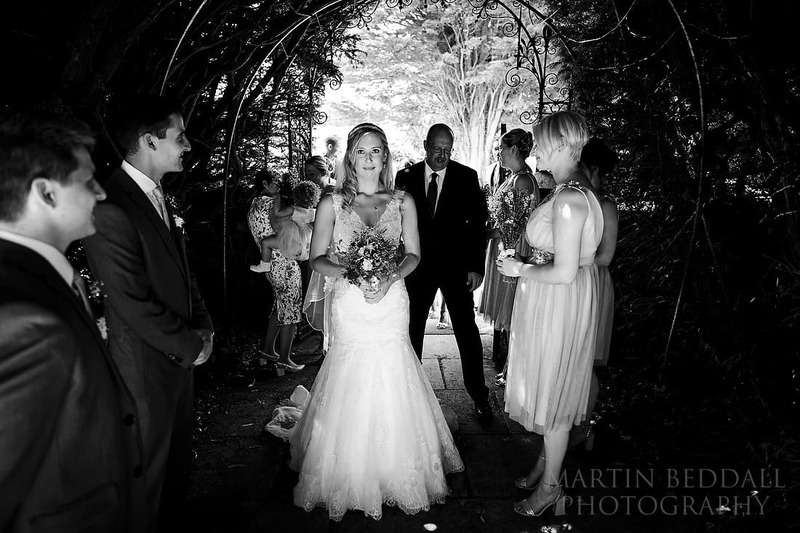 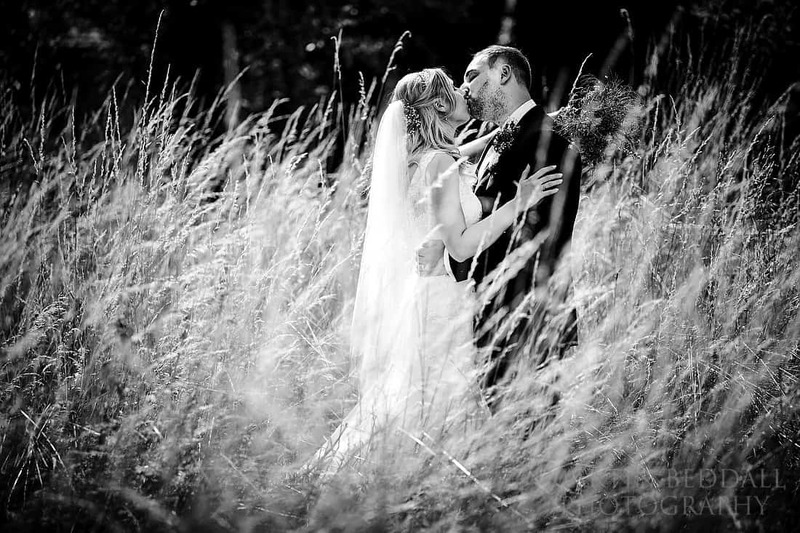 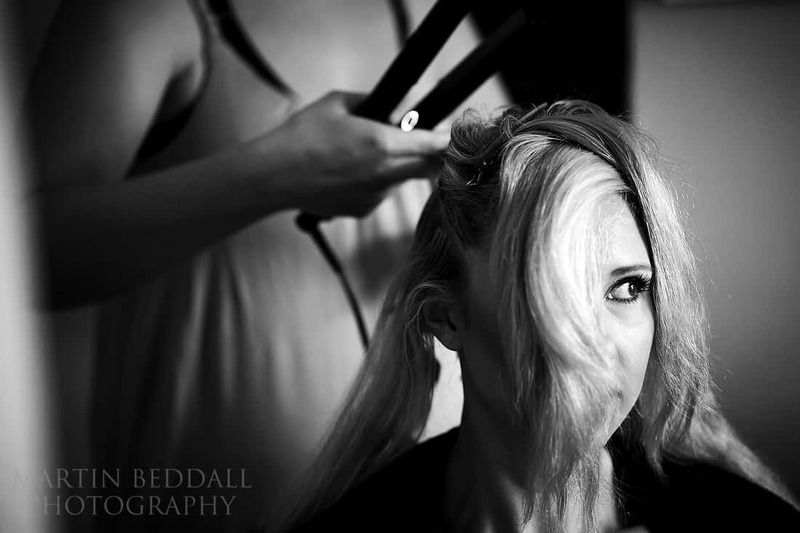 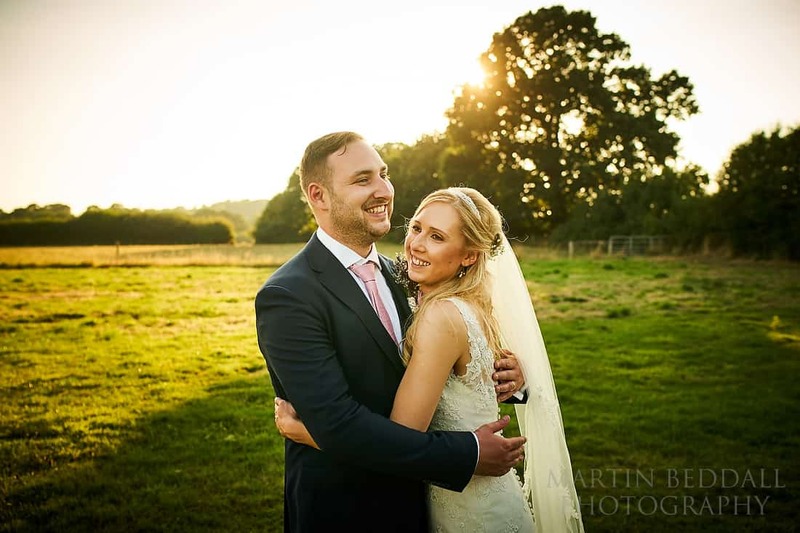 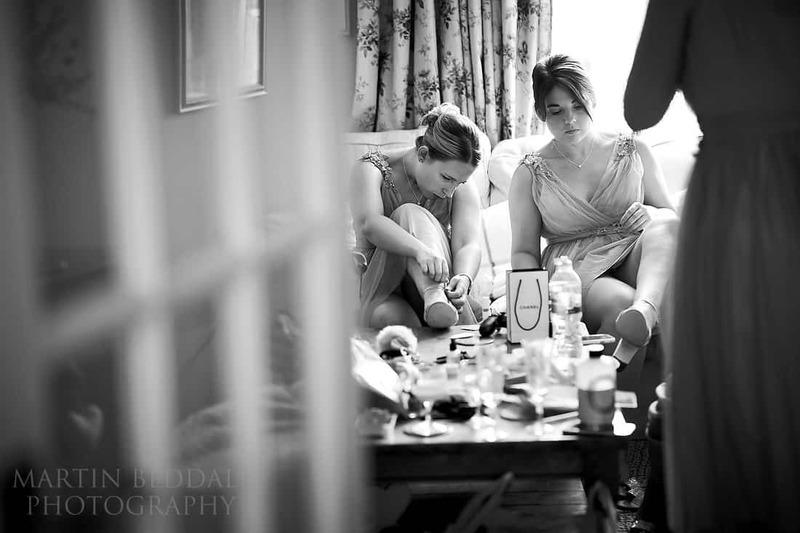 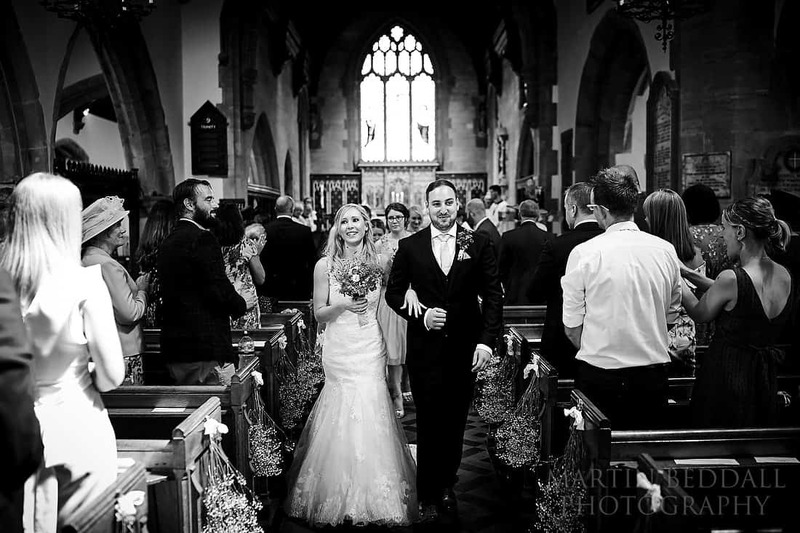 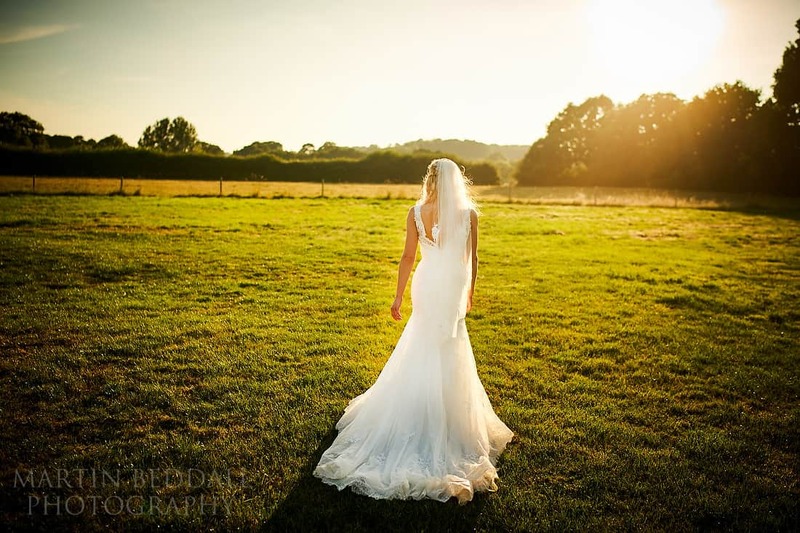 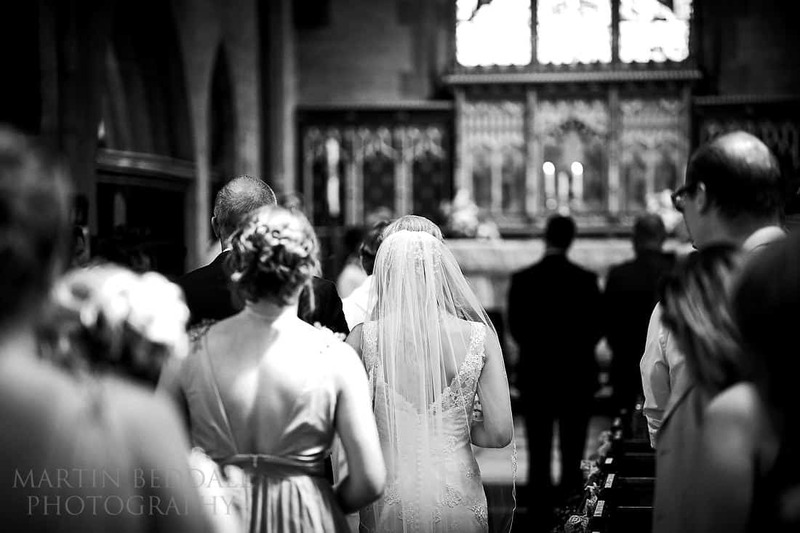 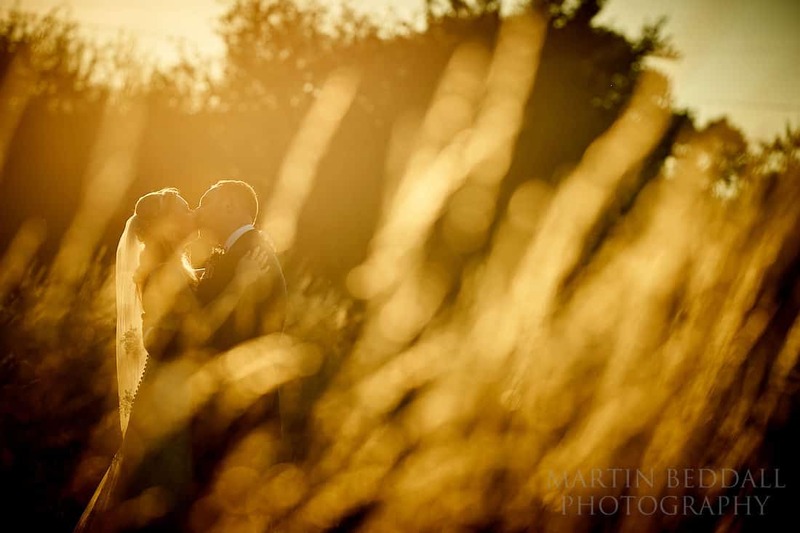 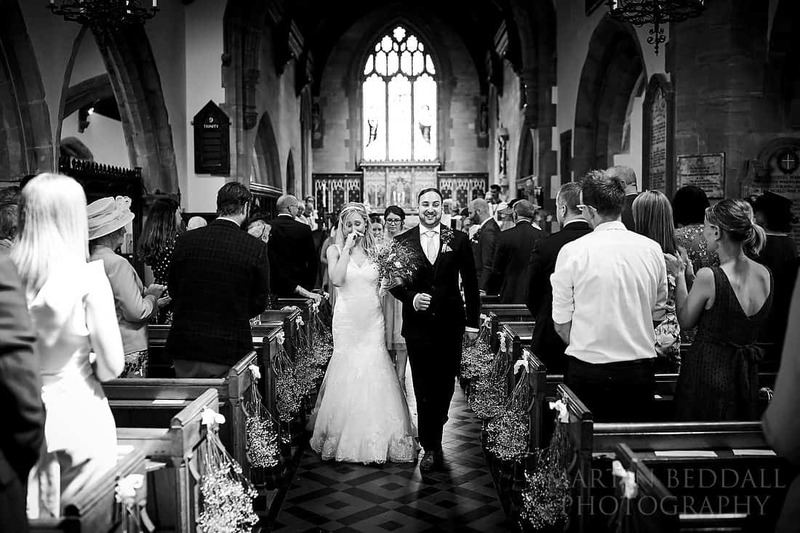 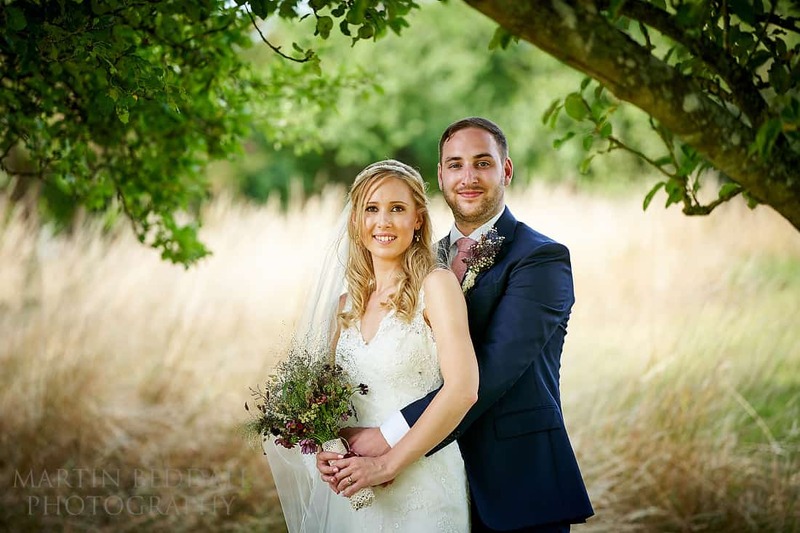 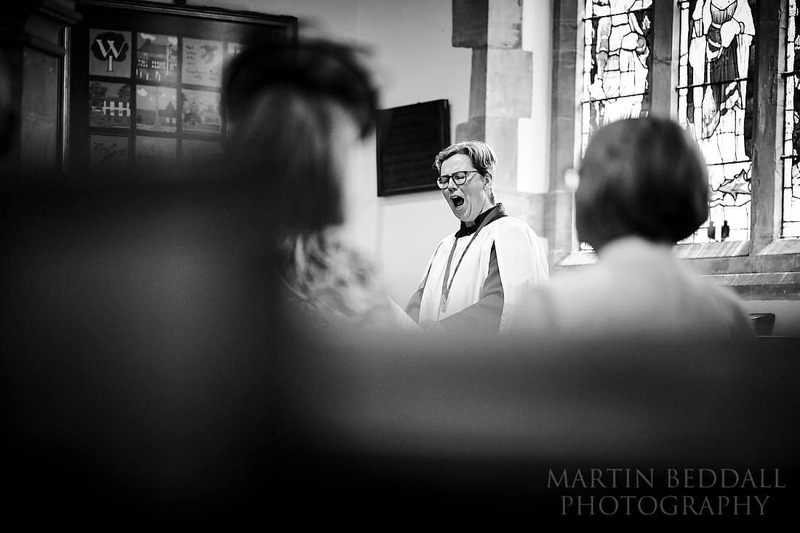 A West Sussex wedding – Broadbridge Heath, Warnham church and The Secret Barn (near the South Downs). 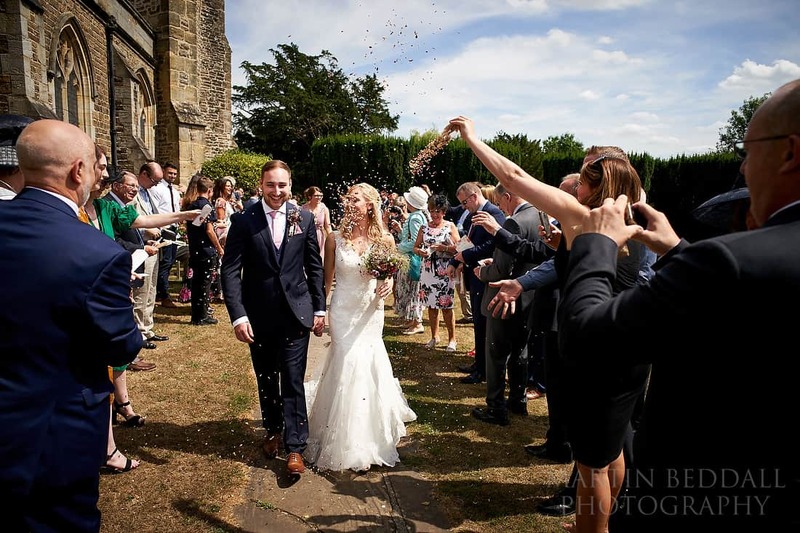 A wedding, for Hannah and Chris, on a very warm summer’s day. 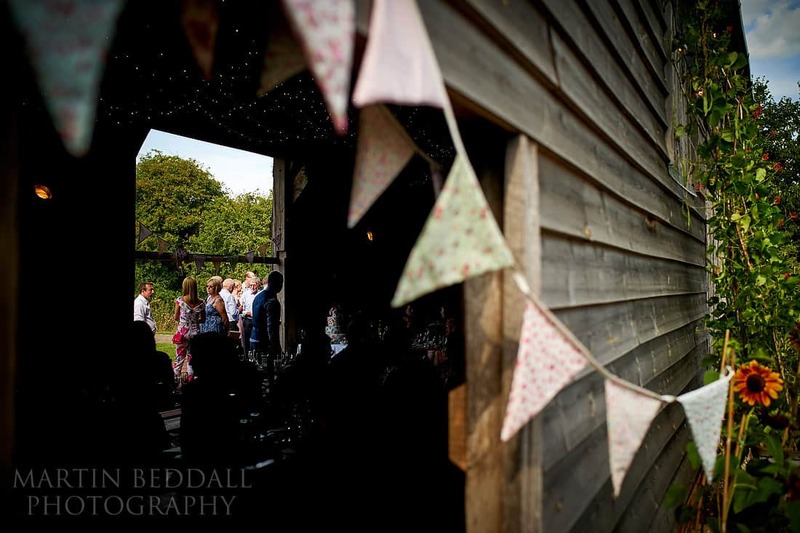 The Secret Barn….”The Secret Barn is a ‘proper barn’, on a proper farm, nestled down a quiet country lane in West Sussex, with views of The Downs and lovely countryside, this barn is the quintessential rural idyl, complete with a paddock for camping, an orchard crying out to hold a little ceremony, a lawn for canapé-ing on or toasting marshmallows over the fire pit. 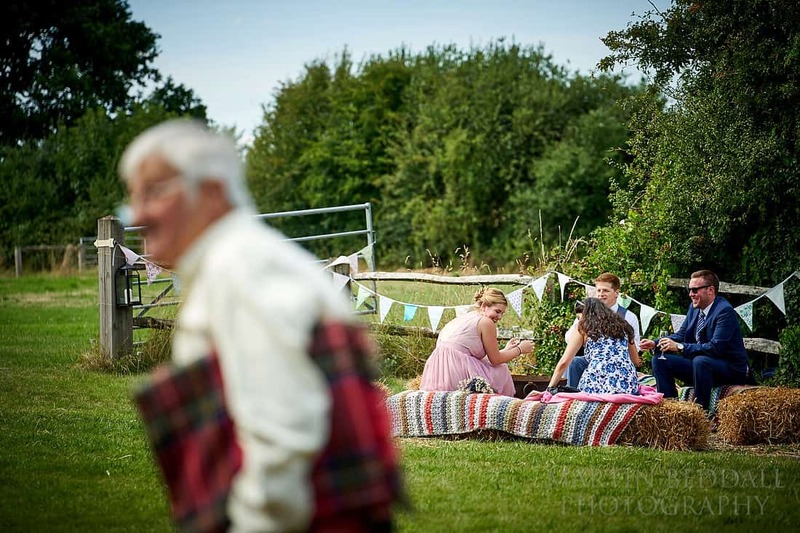 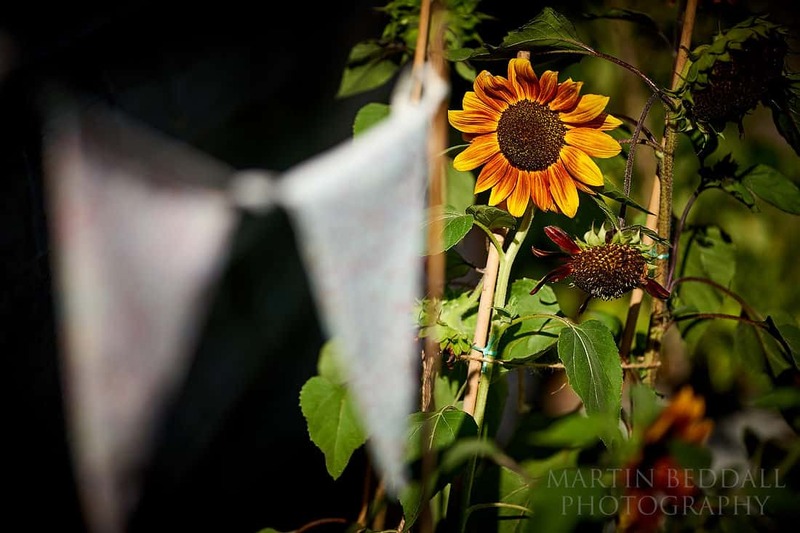 Think trestle tables, garland lights, hay bales, star gazing, wild flowers, Darling Buds of May, festivally fun. 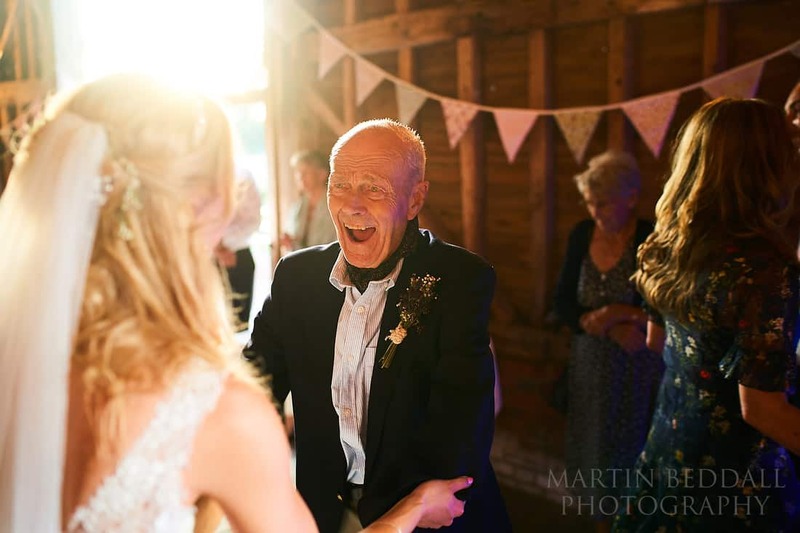 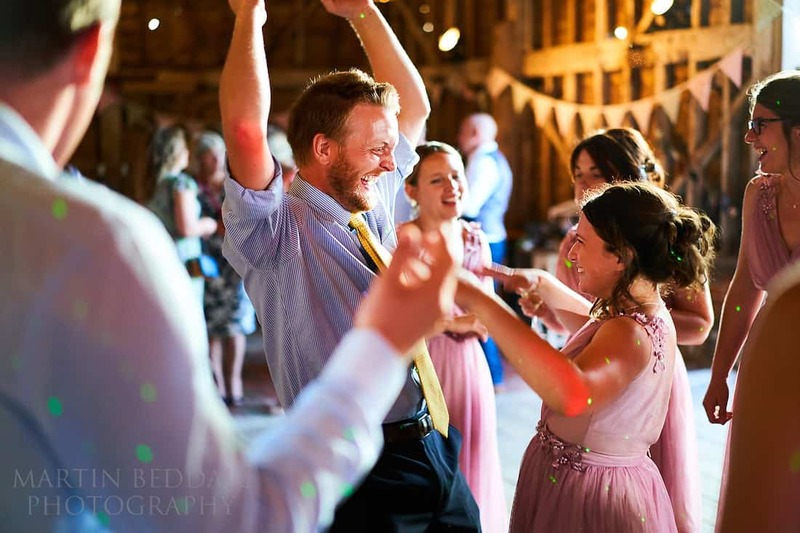 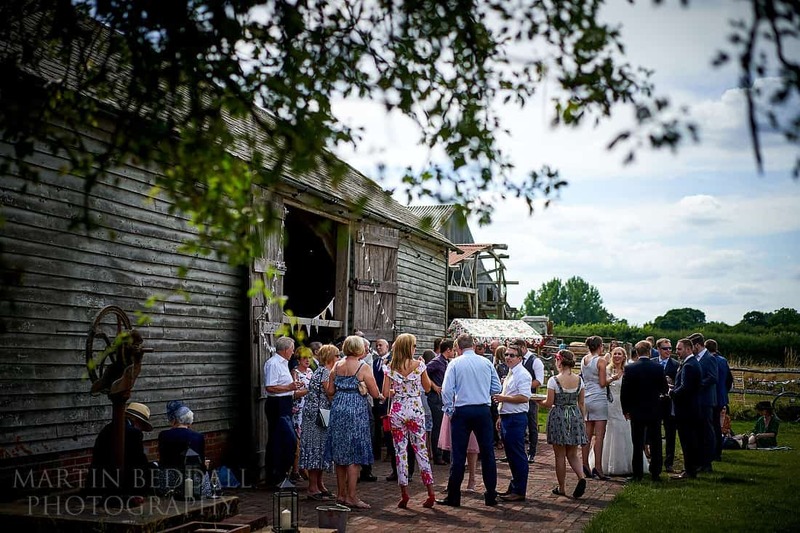 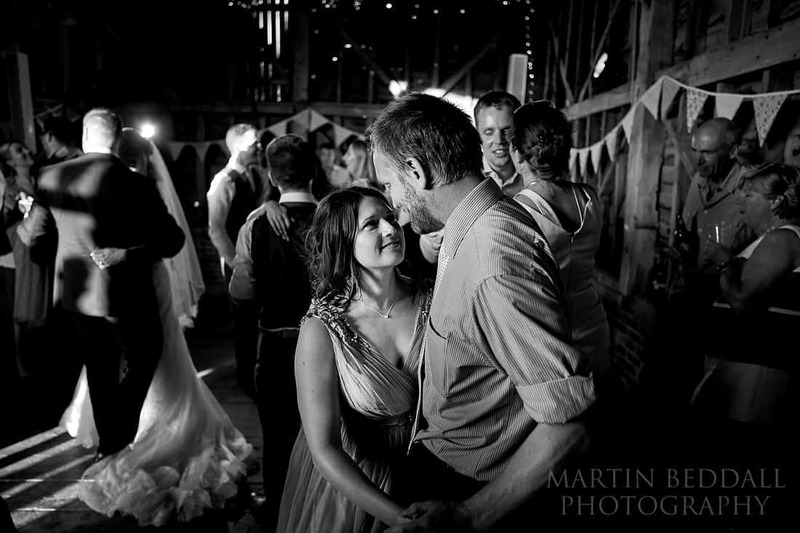 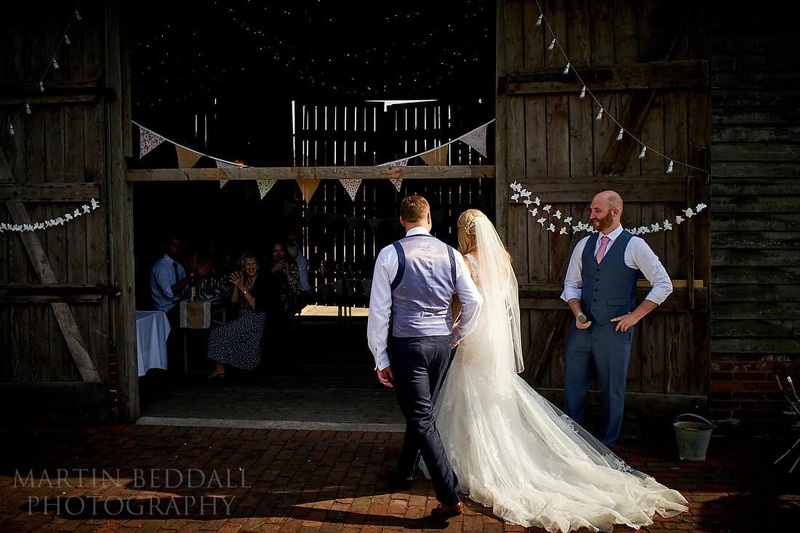 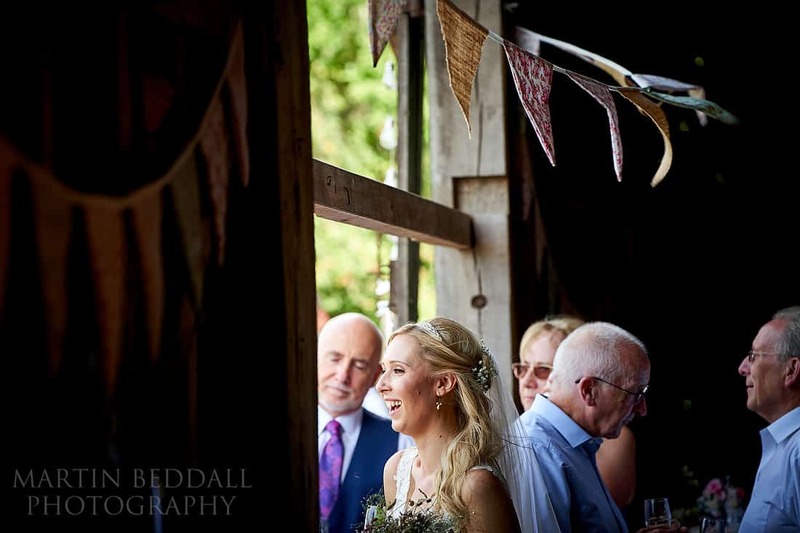 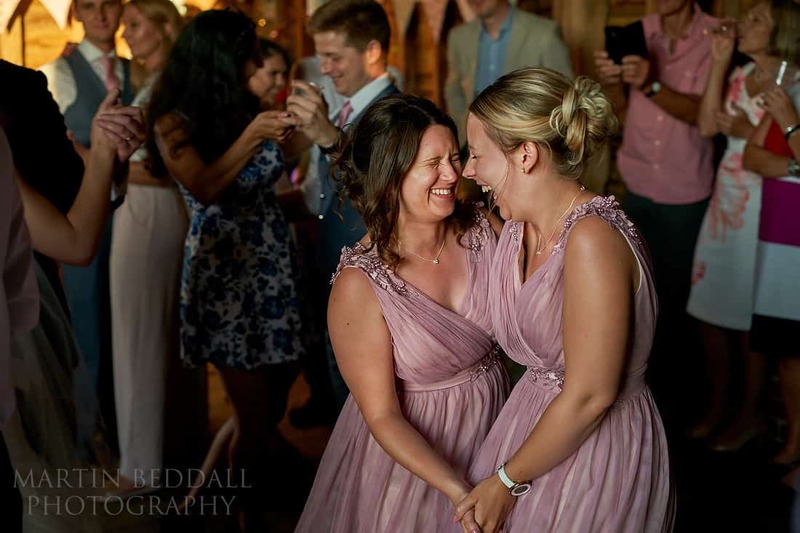 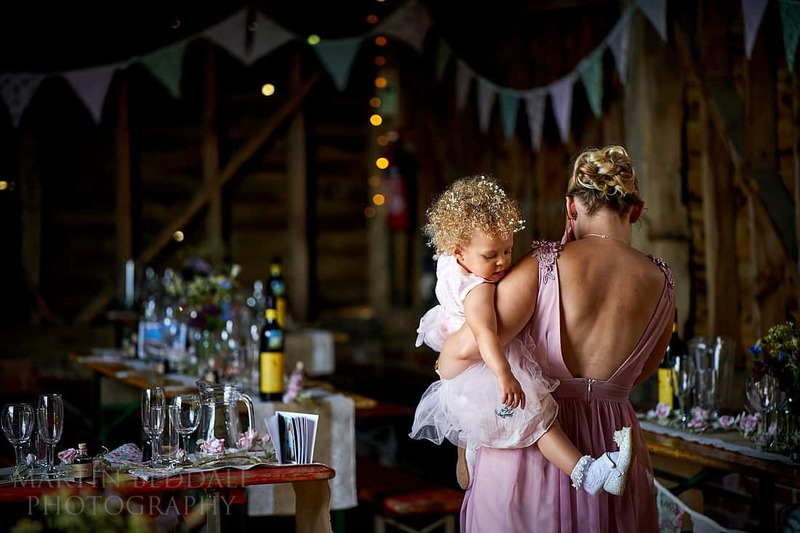 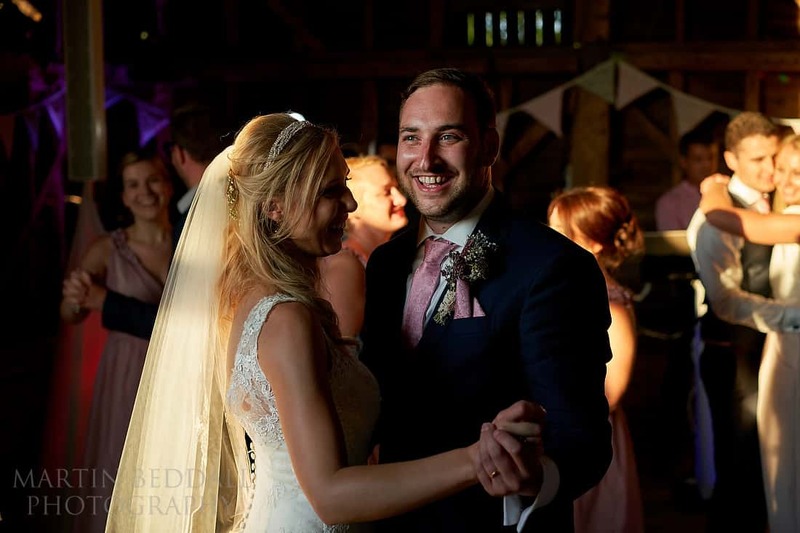 The Secret Barn is an exclusive, authentically rustic hideaway, it has beams and original flooring, it is not a ‘done up wedding barn’, and we love it all the more for its cracks and creaks.” – as they say on their website. 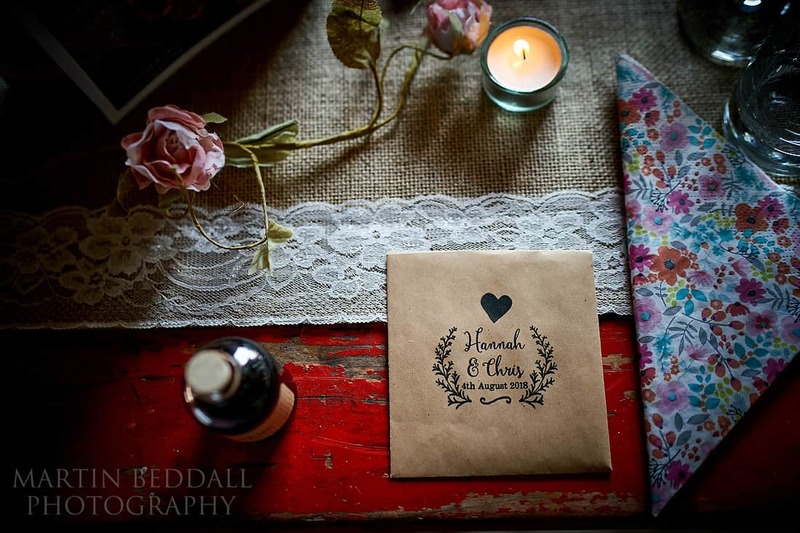 A pretty good canvas to create your own wedding day on. 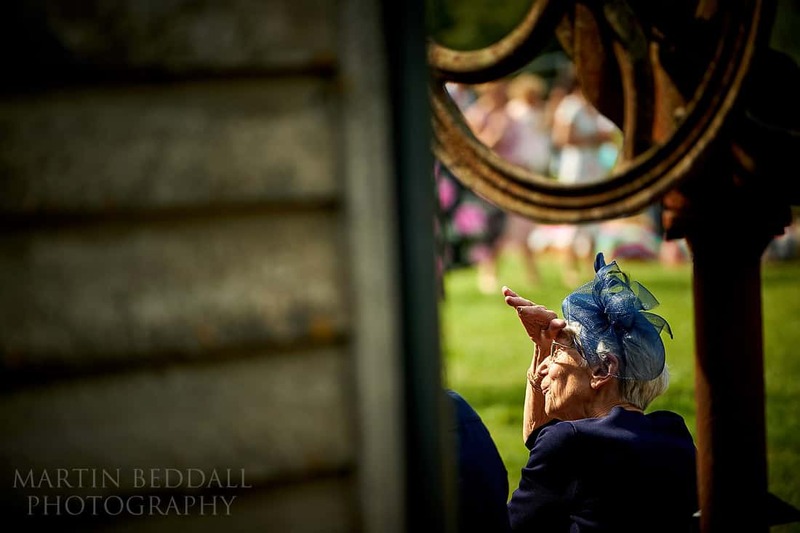 Especially when the sun is shining! 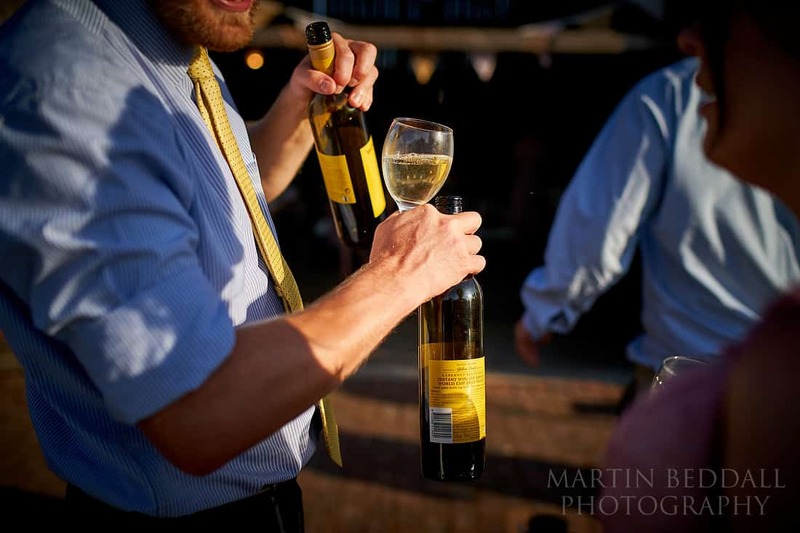 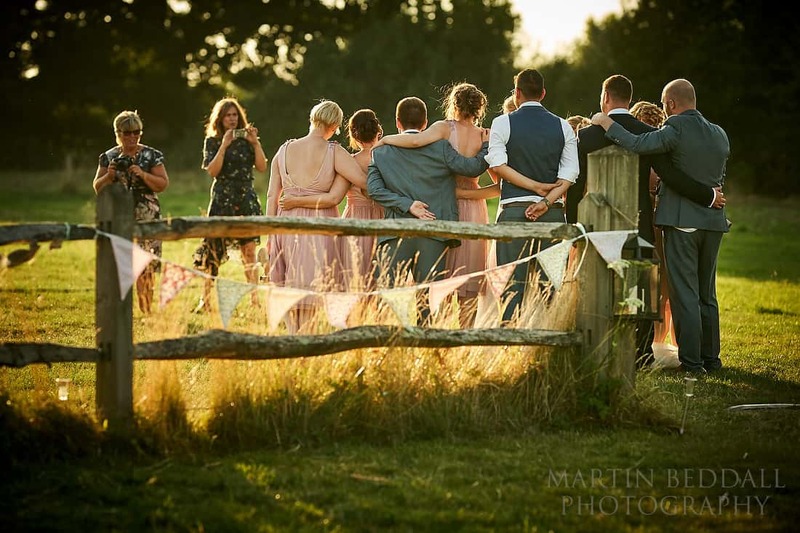 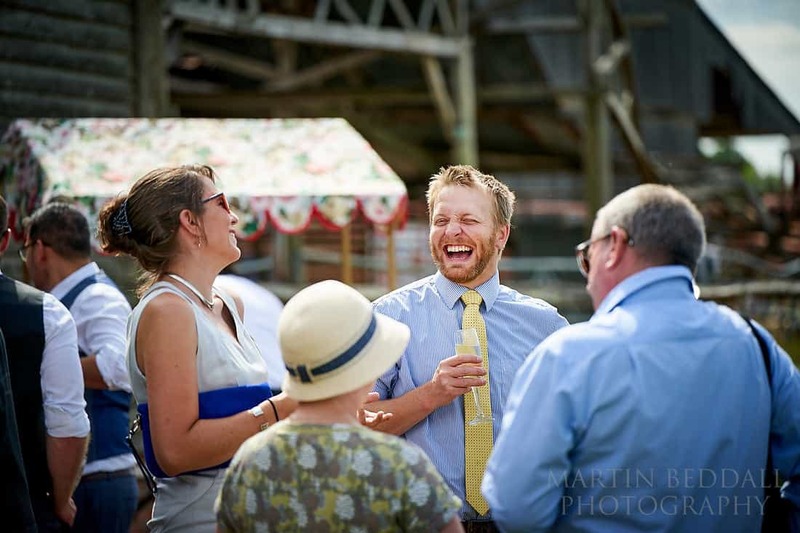 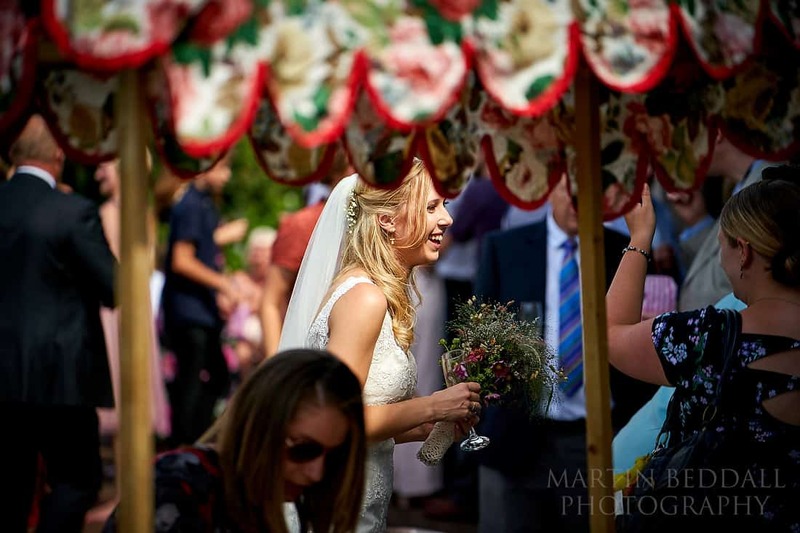 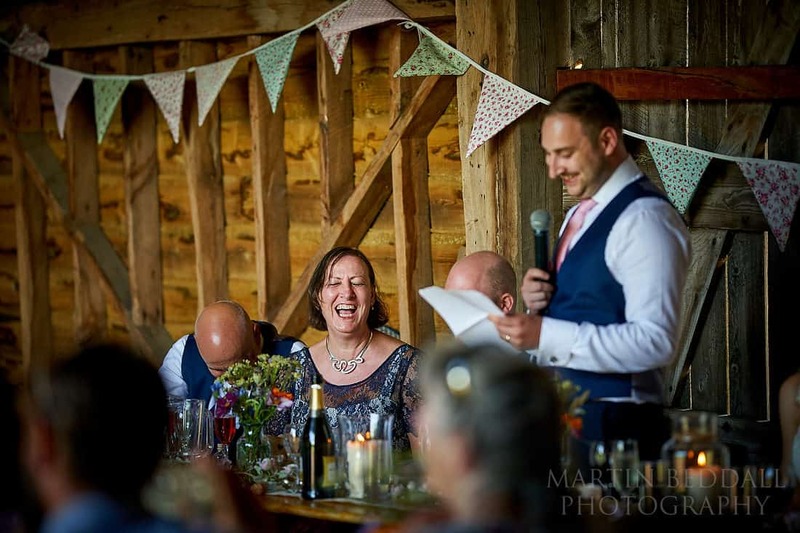 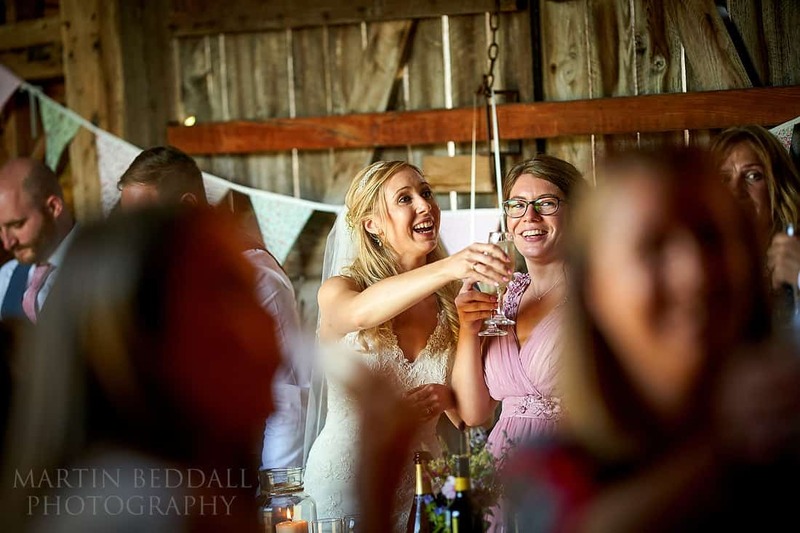 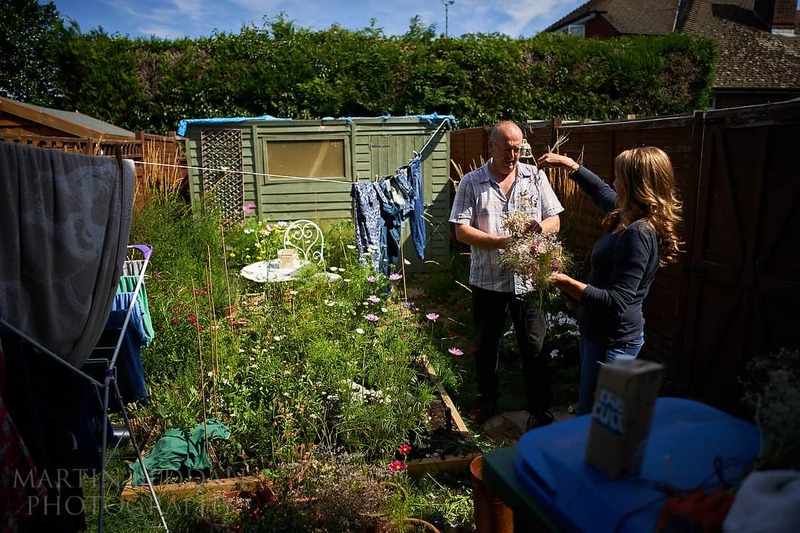 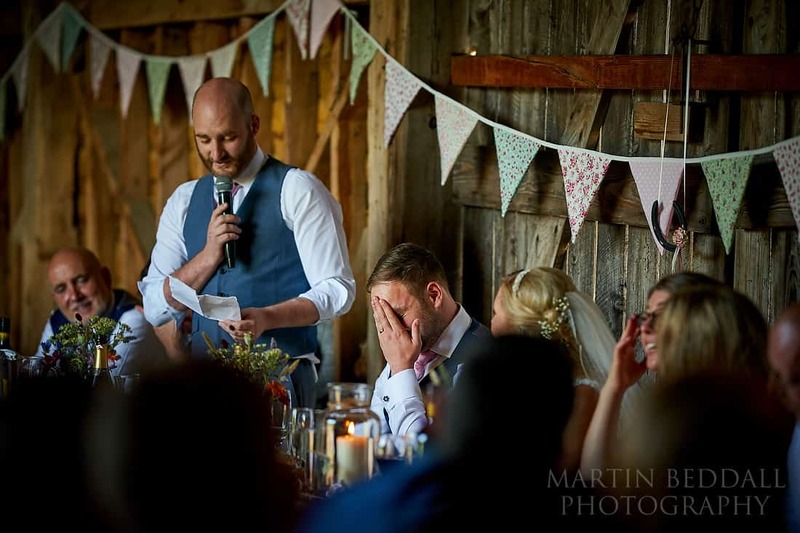 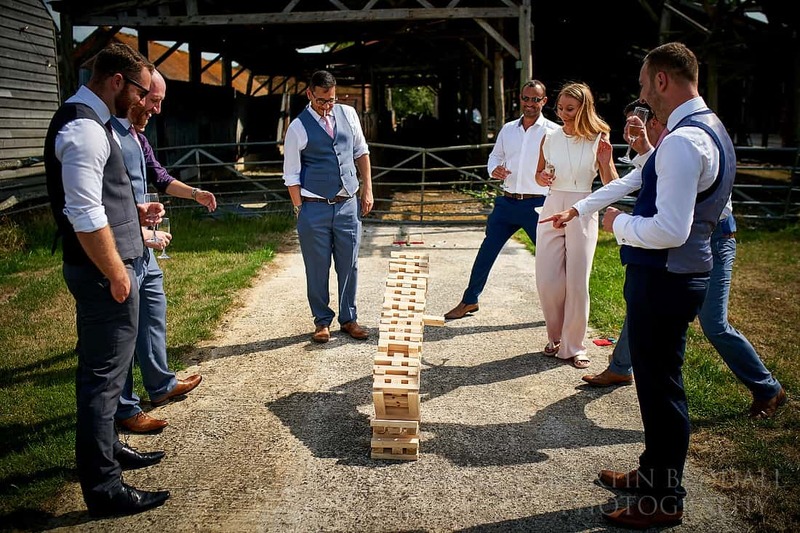 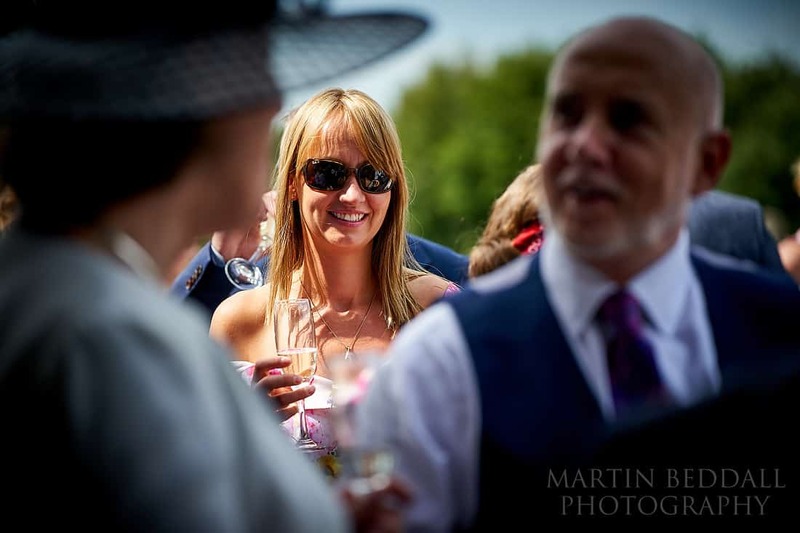 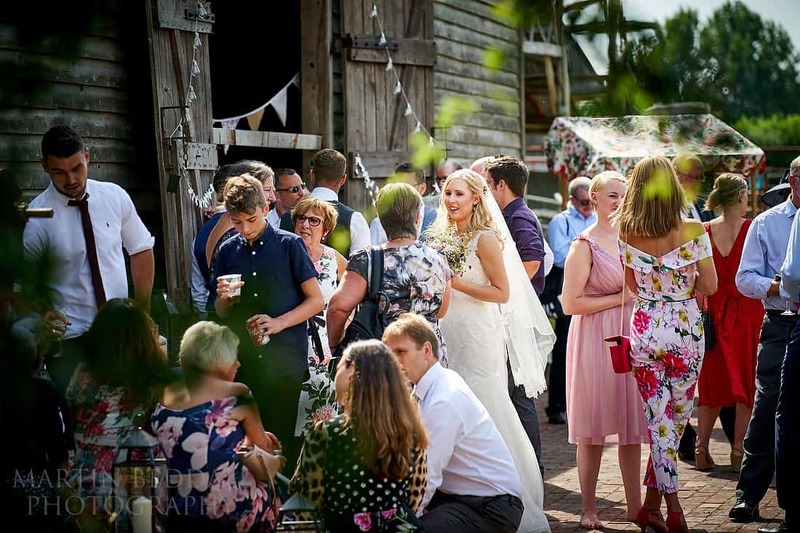 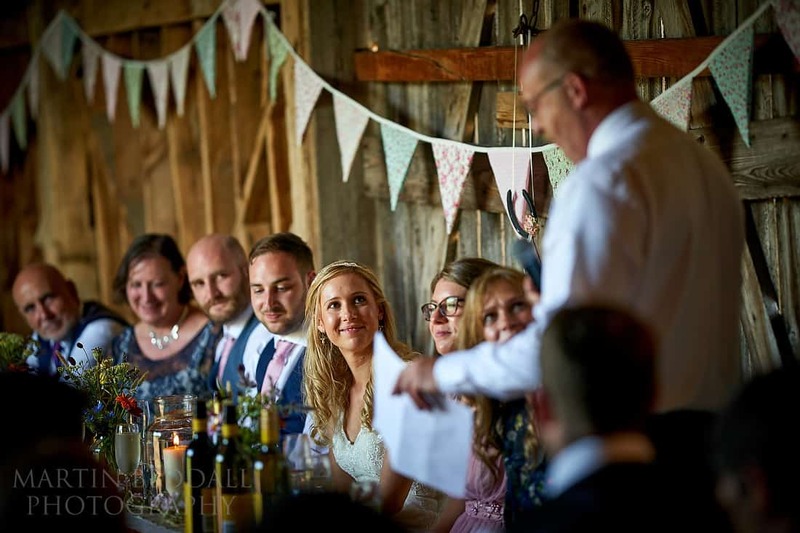 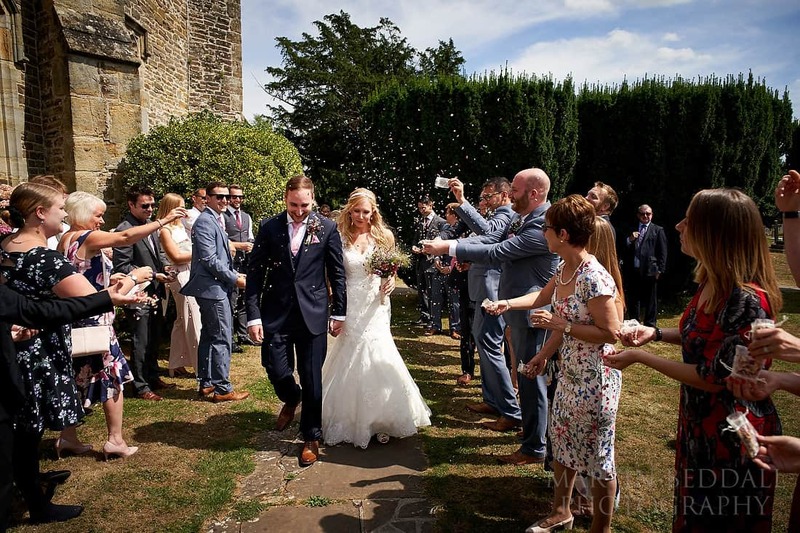 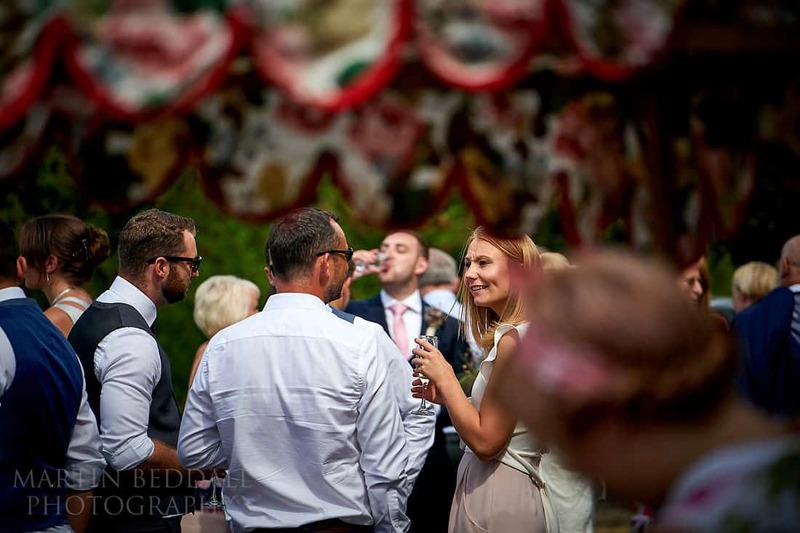 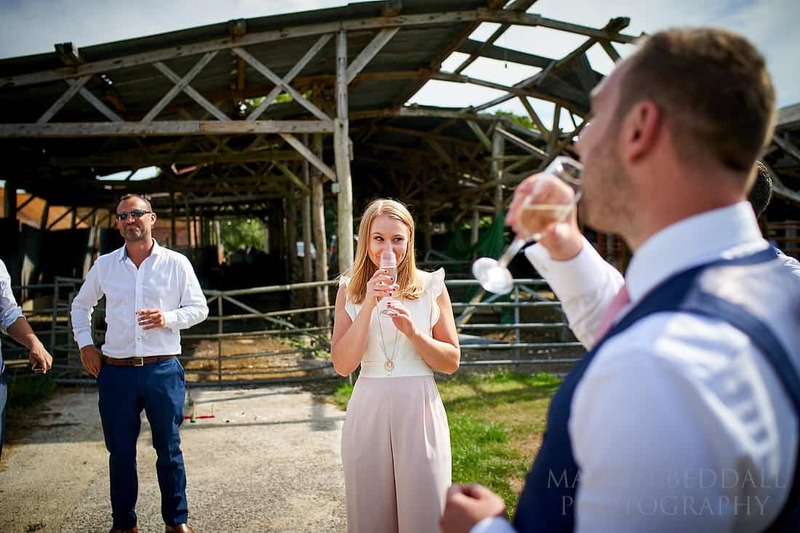 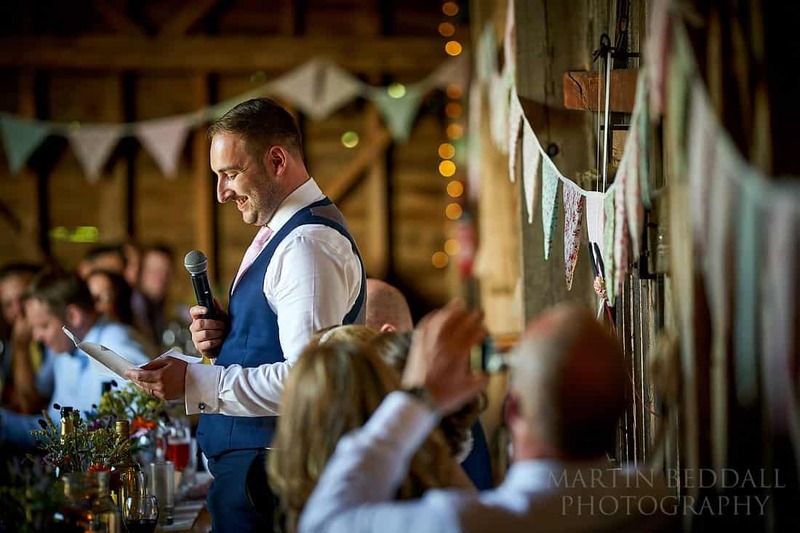 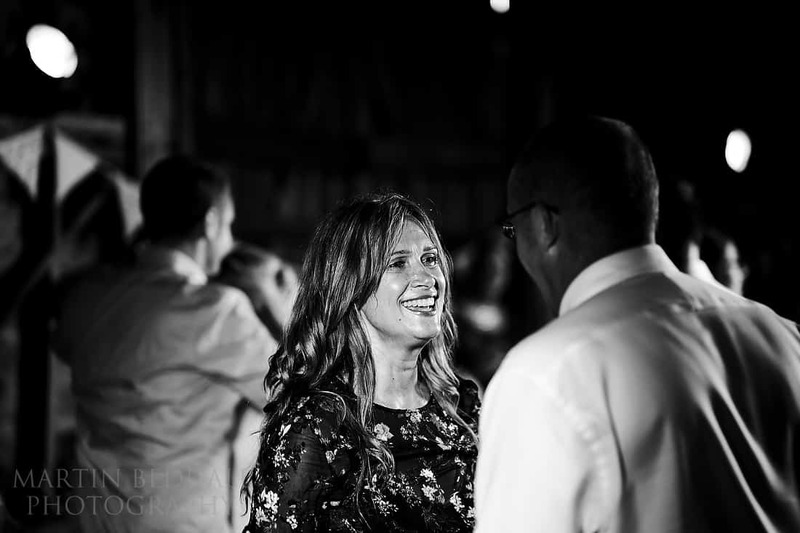 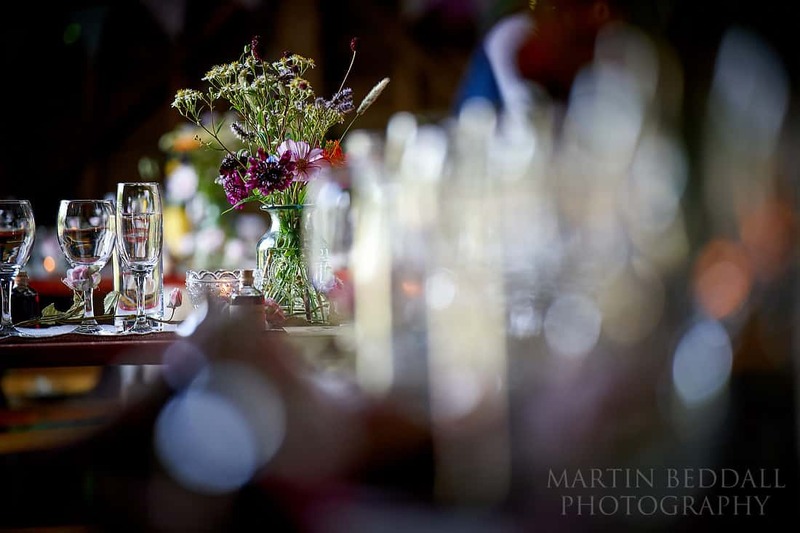 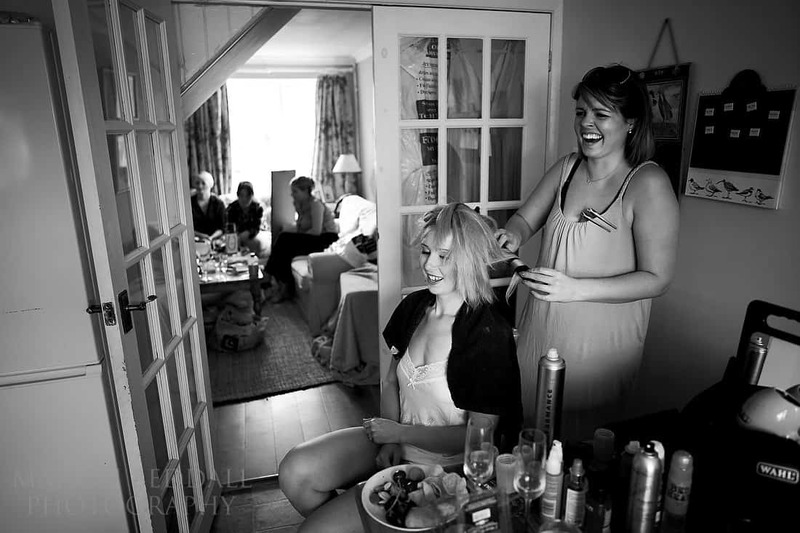 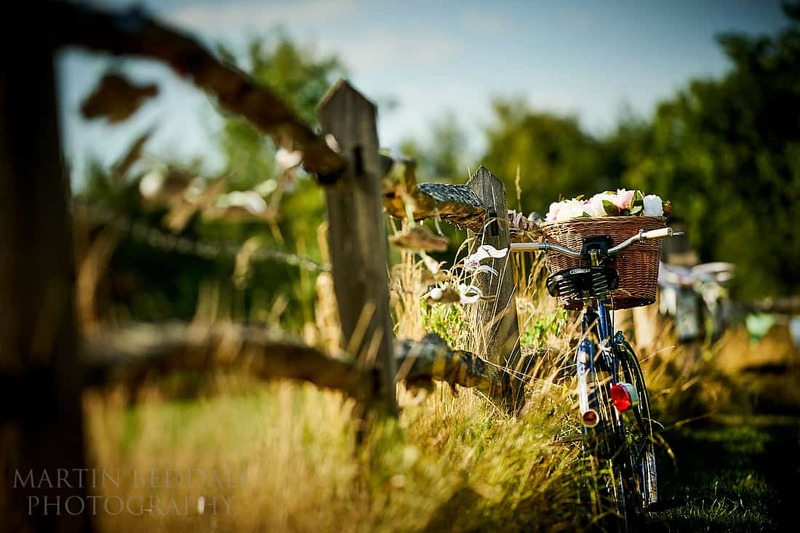 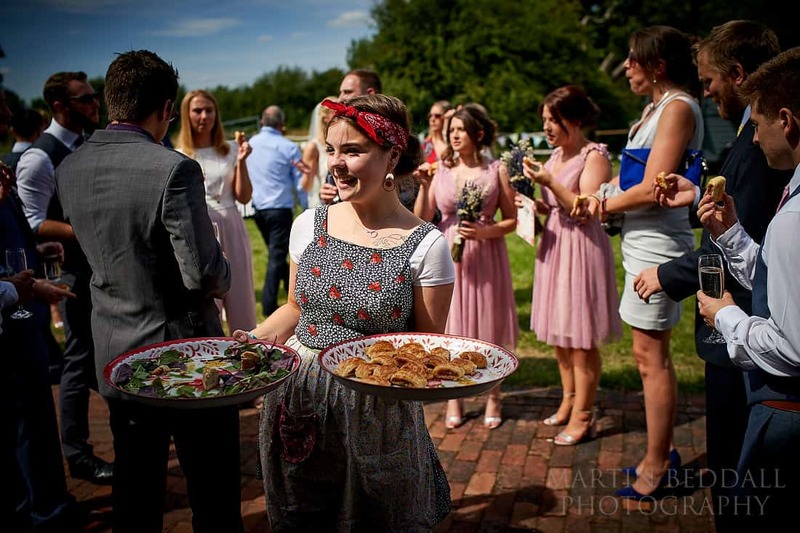 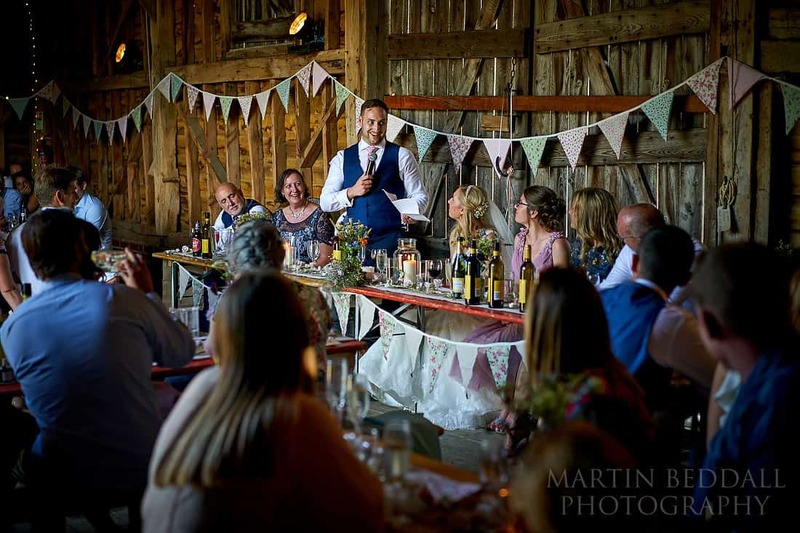 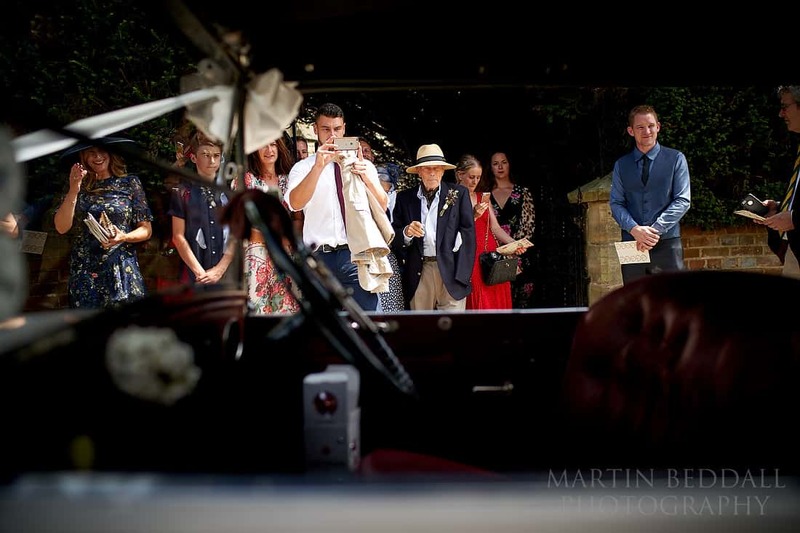 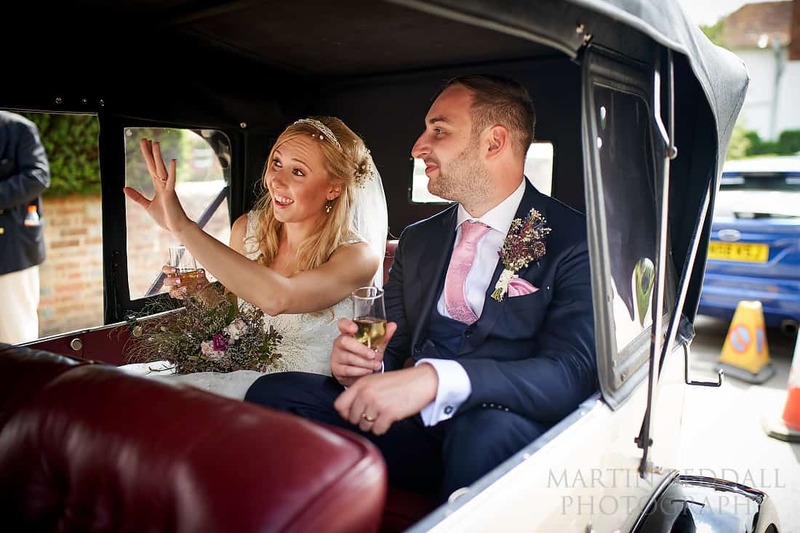 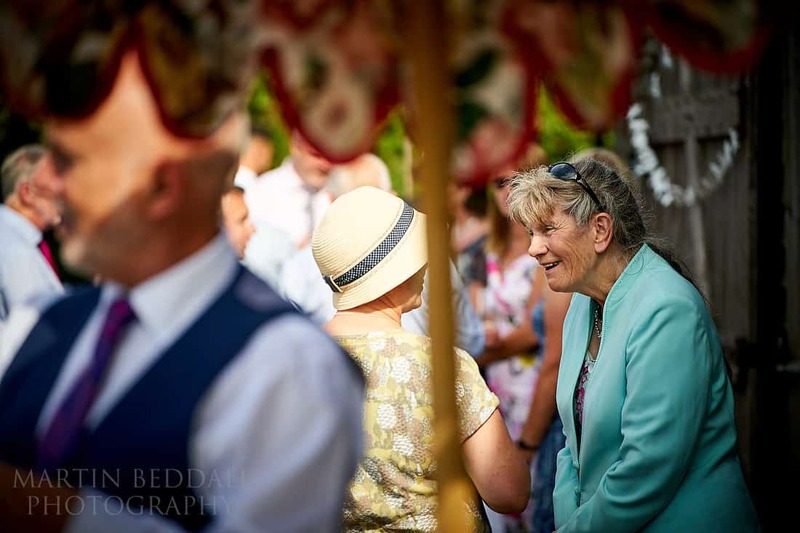 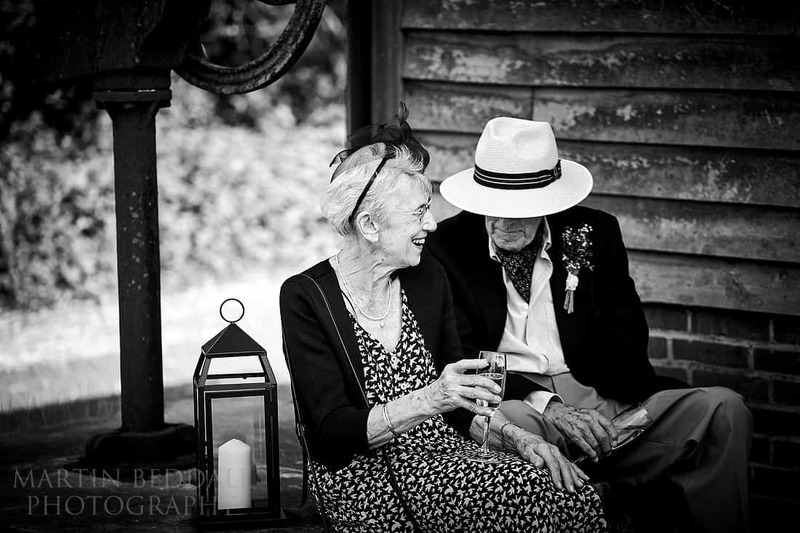 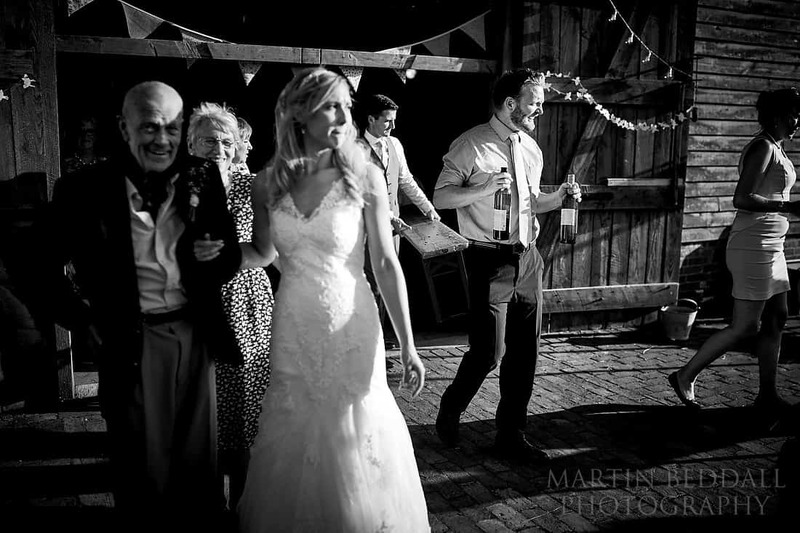 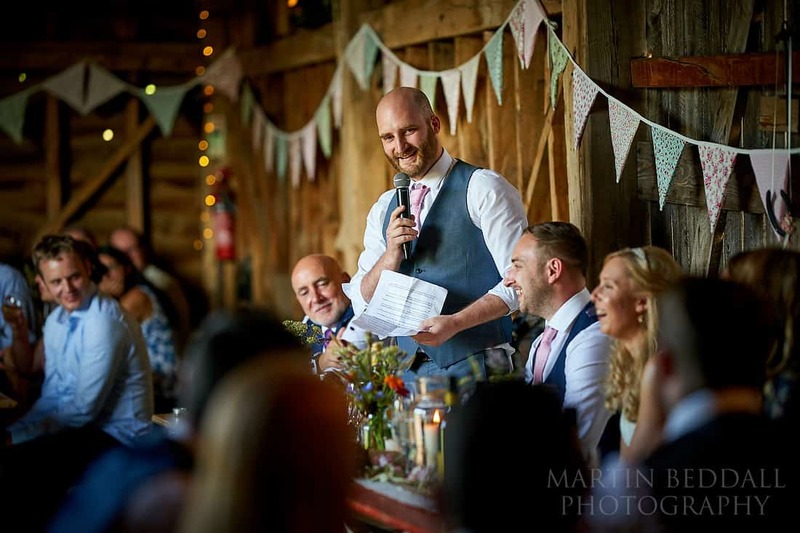 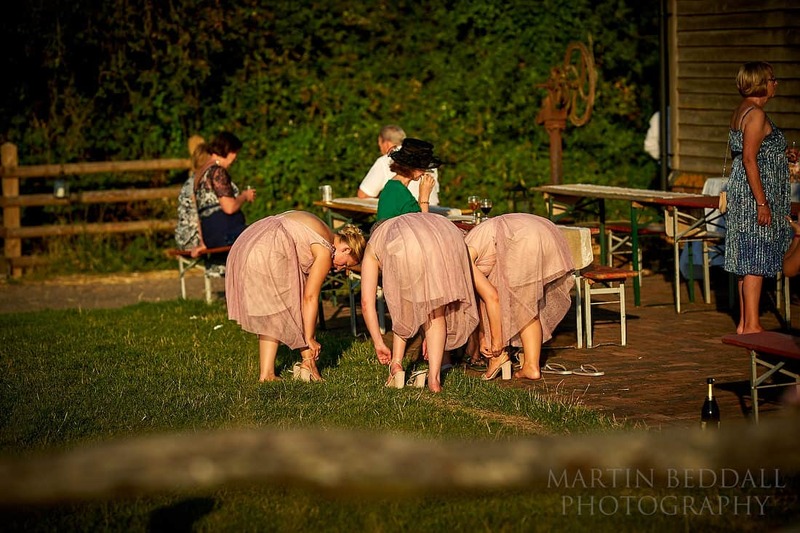 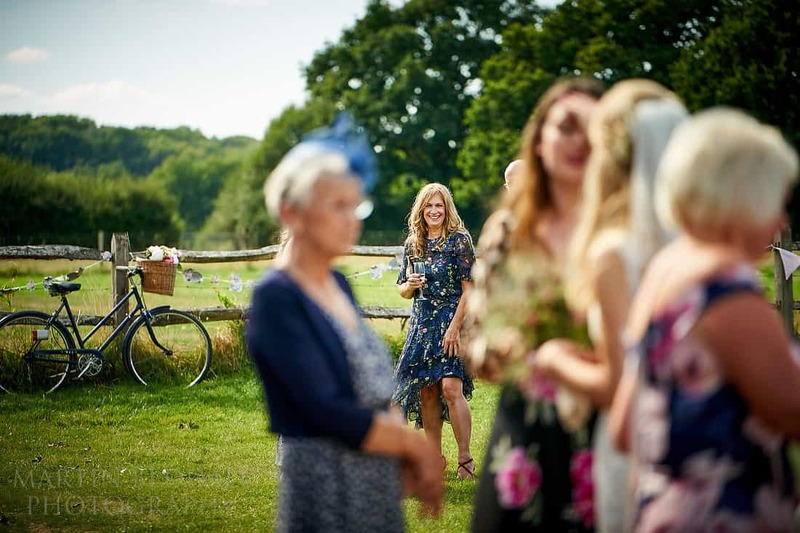 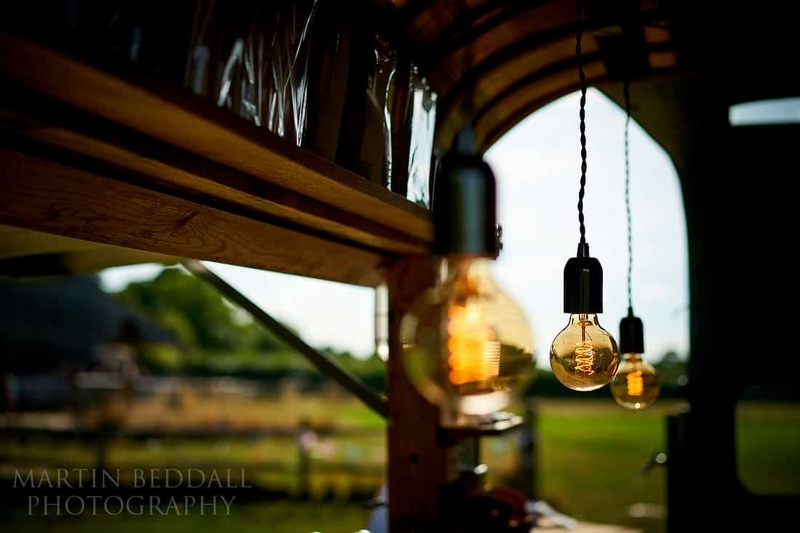 Fizz and elderflower press, pieces of pork pie, sausage rolls and a vintage horse box bar….it creates a nice, simple, intimate feel to a wedding reception – so more personal than a big hotel. 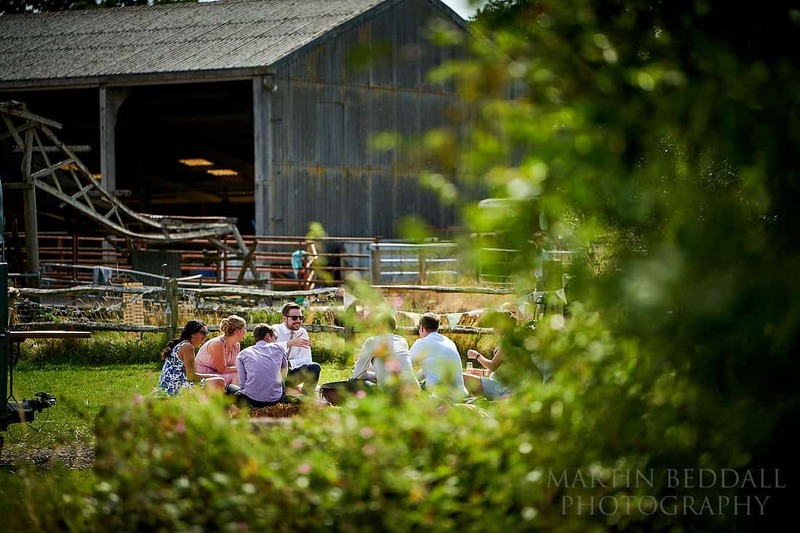 Food from the BBQ, speeches in the barn, back out to dessert in the evening sun. 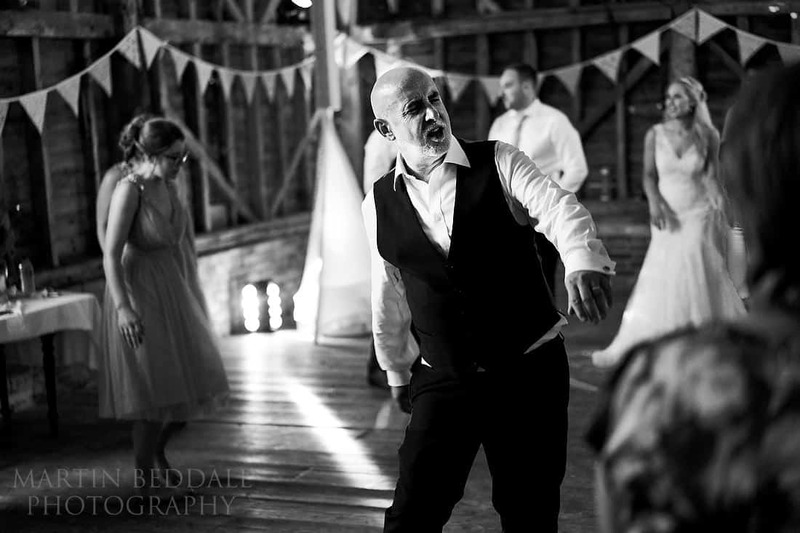 Then dancing in the barn – a slither of evening light (no flash to kill this atmosphere – just shoot around it and see what appears!). 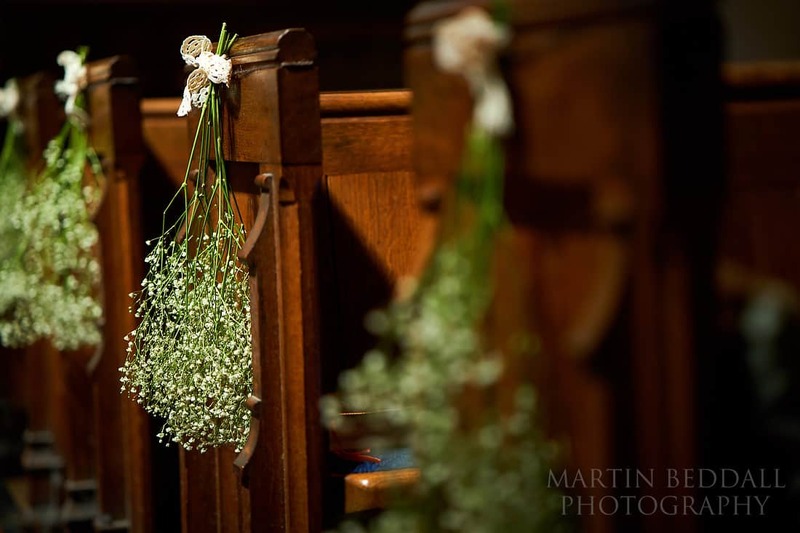 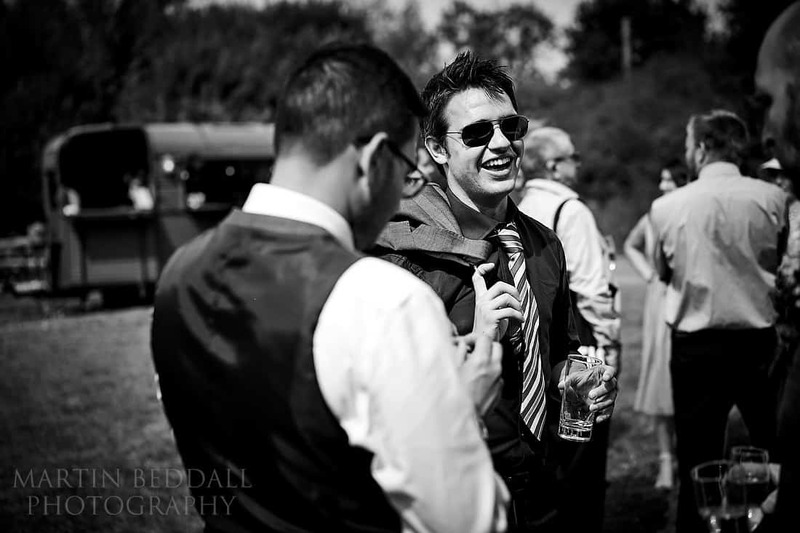 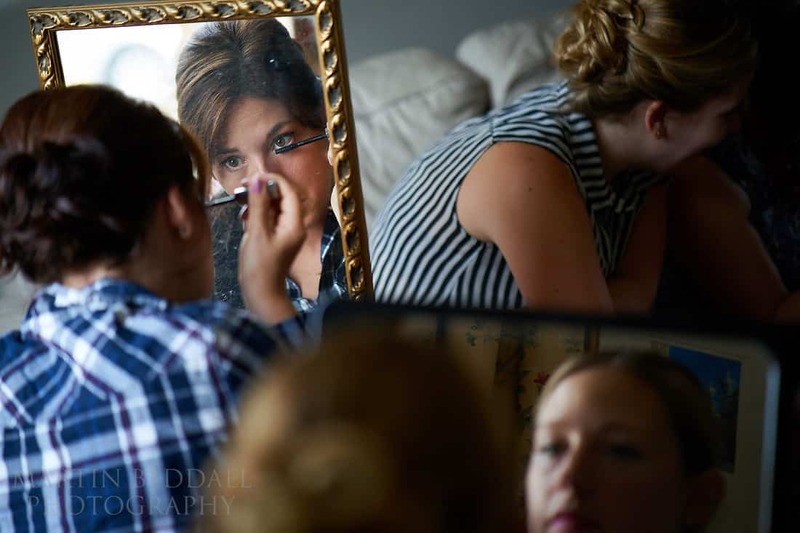 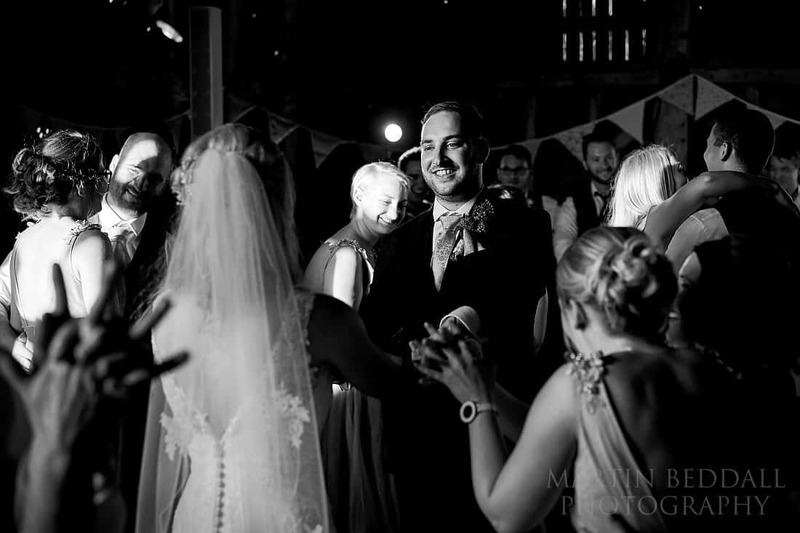 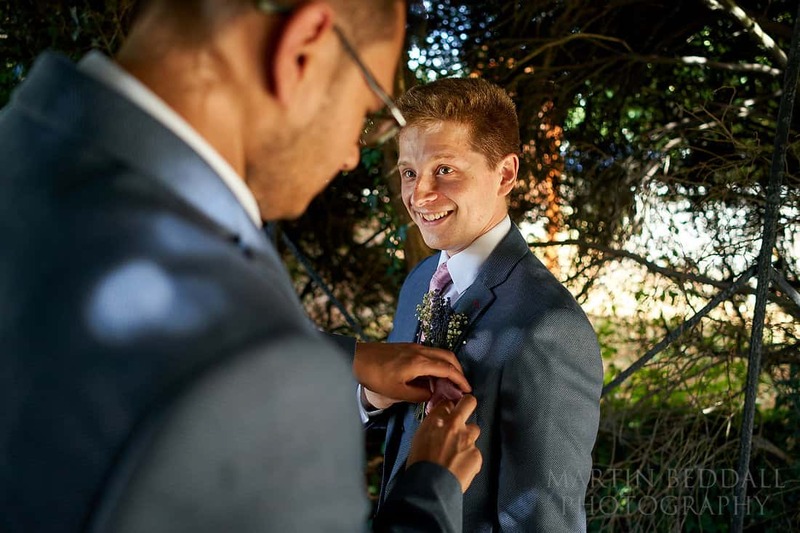 A wedding with a really good warm, relaxed and good vibe. 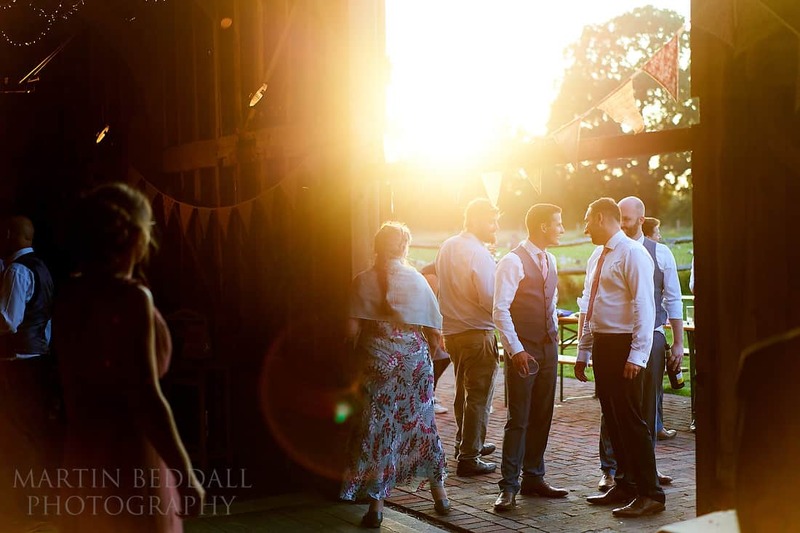 I left as the sun fell behind the trees and the horizon – passing the Domino’s pizza man, as he arrived at the Secret Barn, with his massive delivery of evening food..
Beautiful set of images. 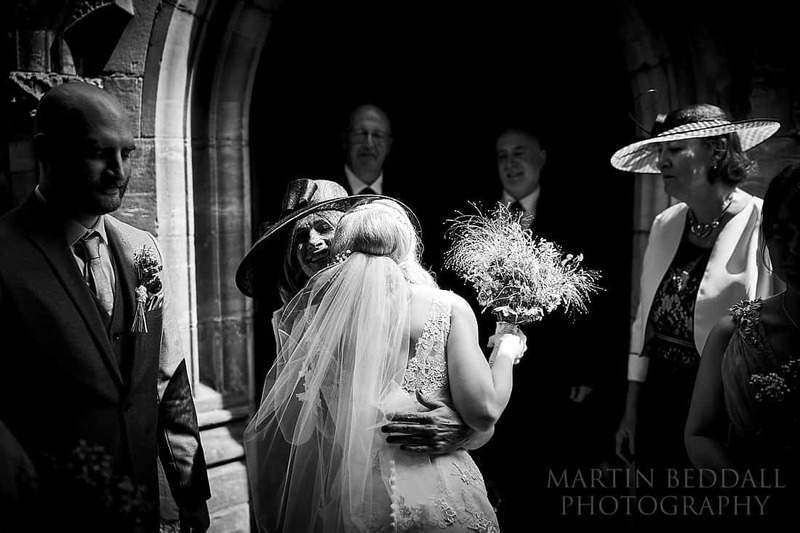 Love the lighting on the black and white ones as well as the colour ones, stellar work! 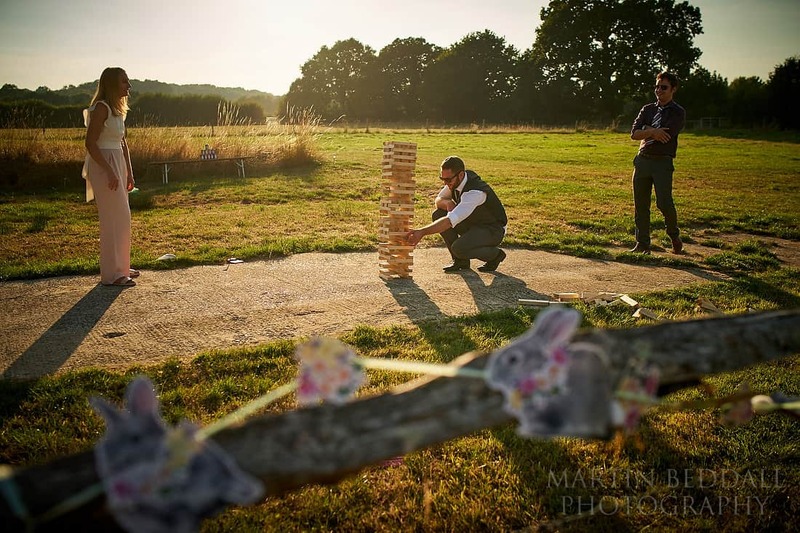 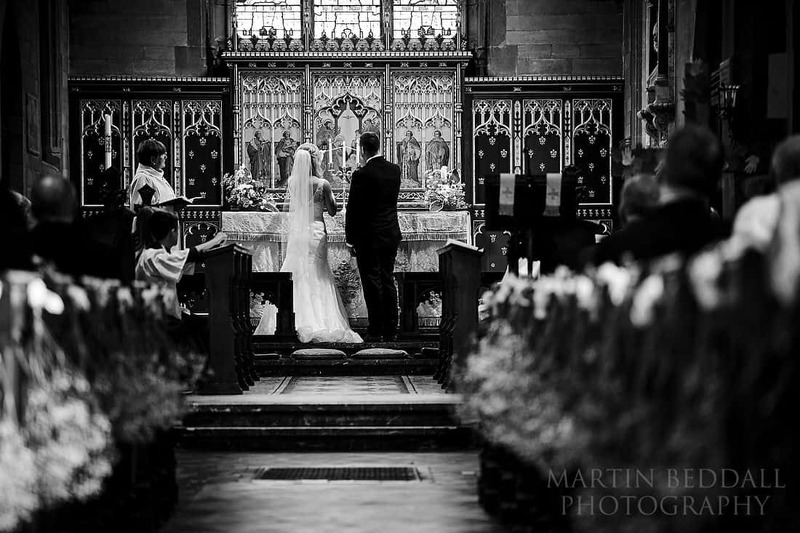 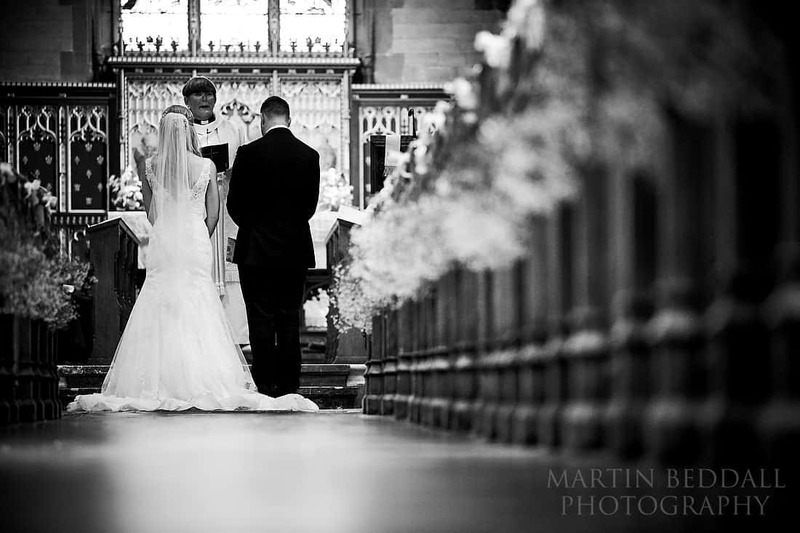 Lovely stuff Martin, what a beautiful spot for a wedding! 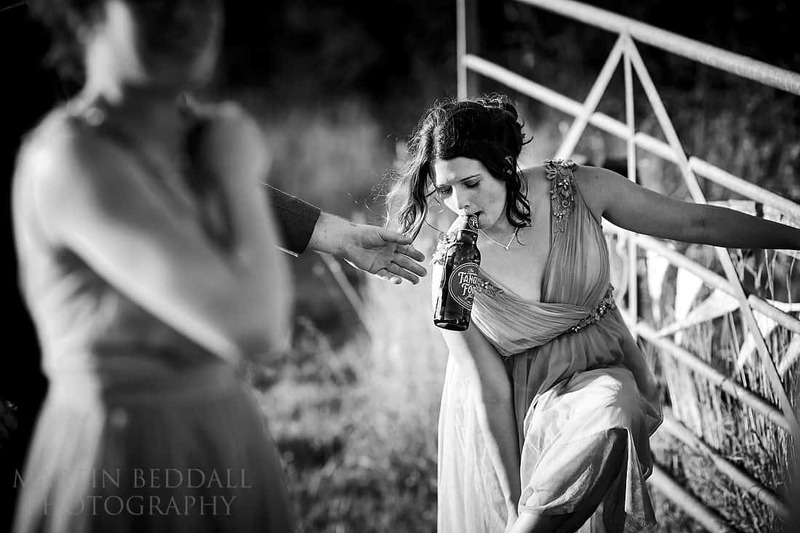 Stunning, stunning shots. 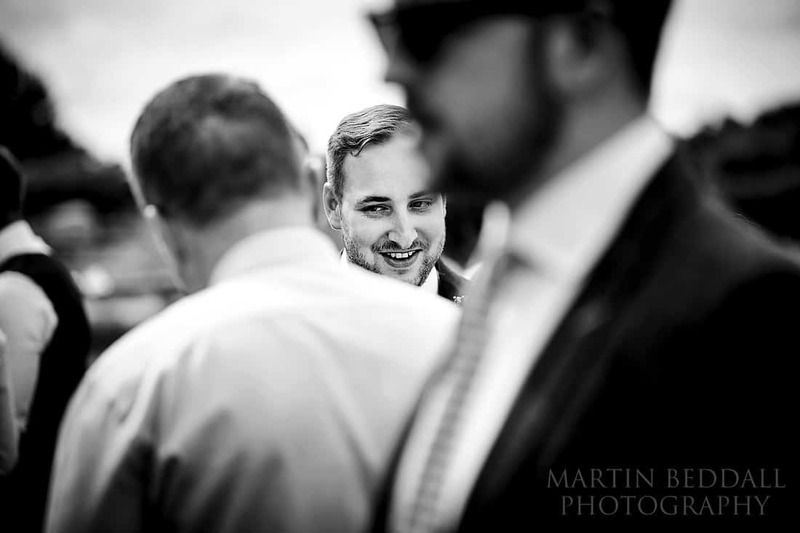 Martin! 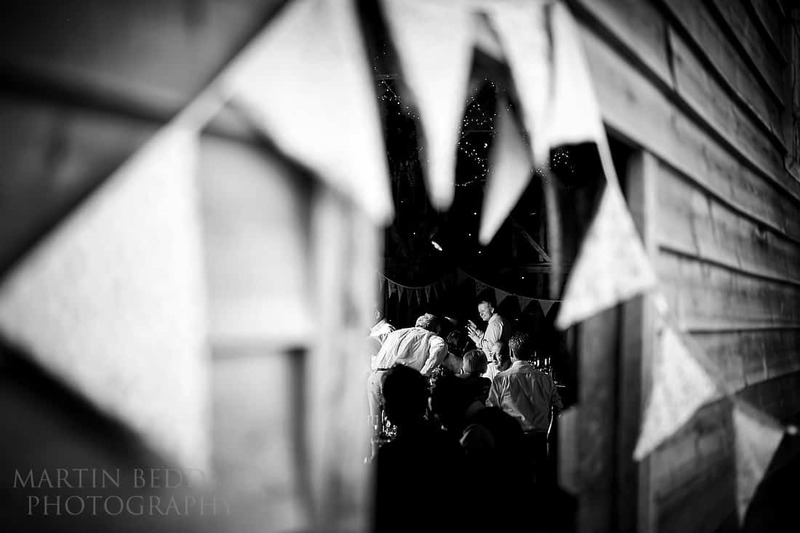 You capture the atmosphere so well. 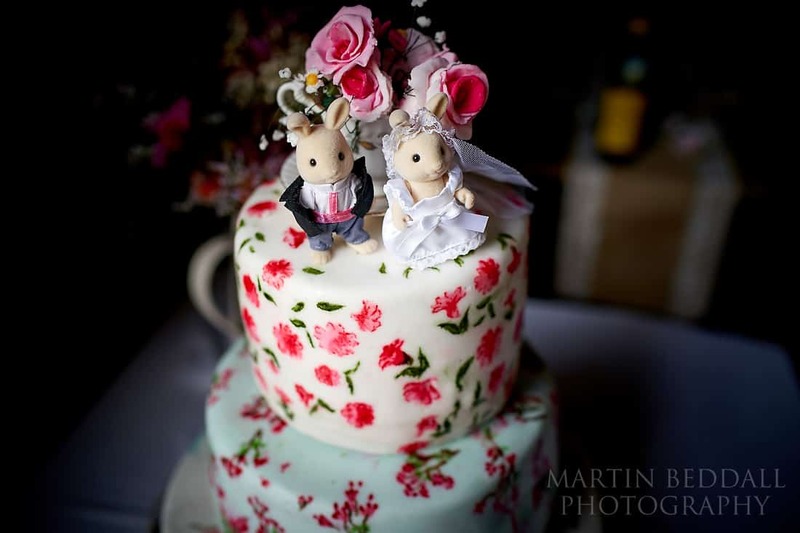 And the tiny details! 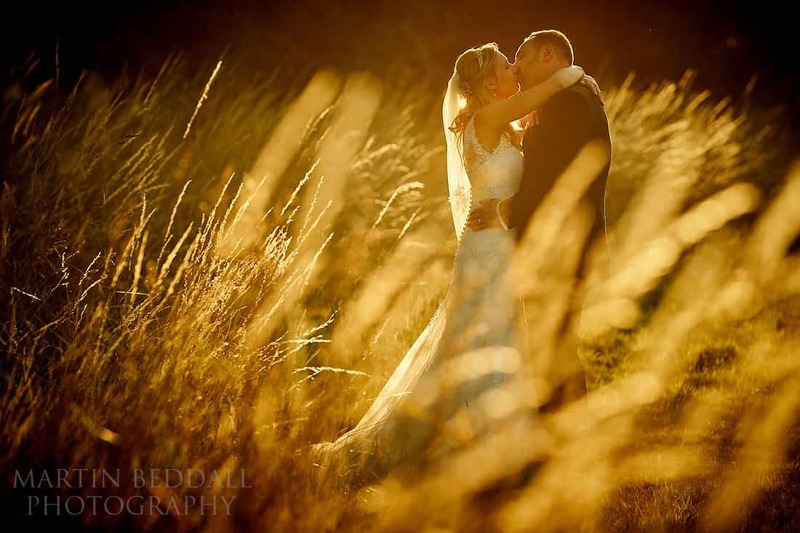 Every shot is gorgeous and we’re so excited to have you as the photographer at our wedding just around the corner!